1. 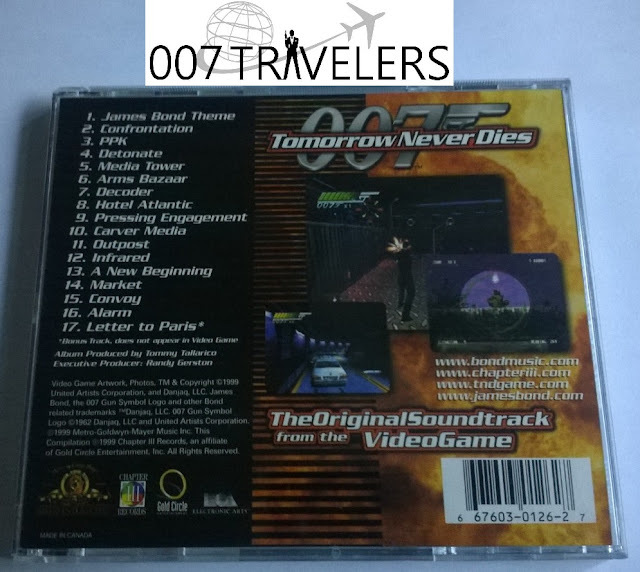 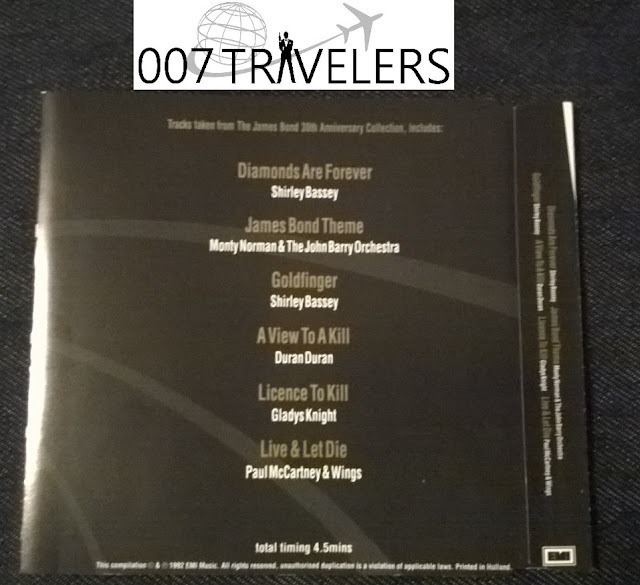 "James Bond Theme (Moby's Re-Version) Moby's Extended Dance Mix"
2. 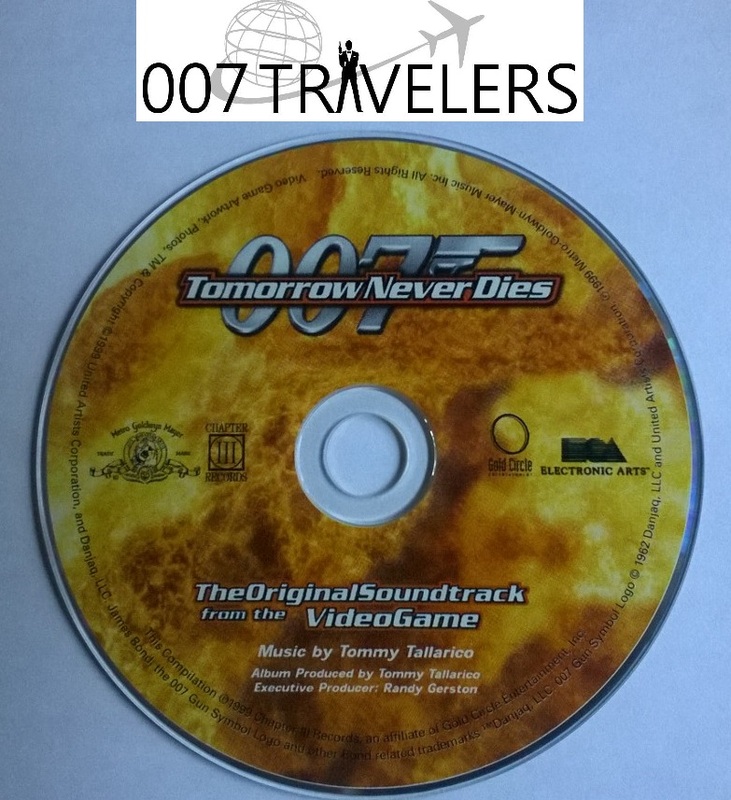 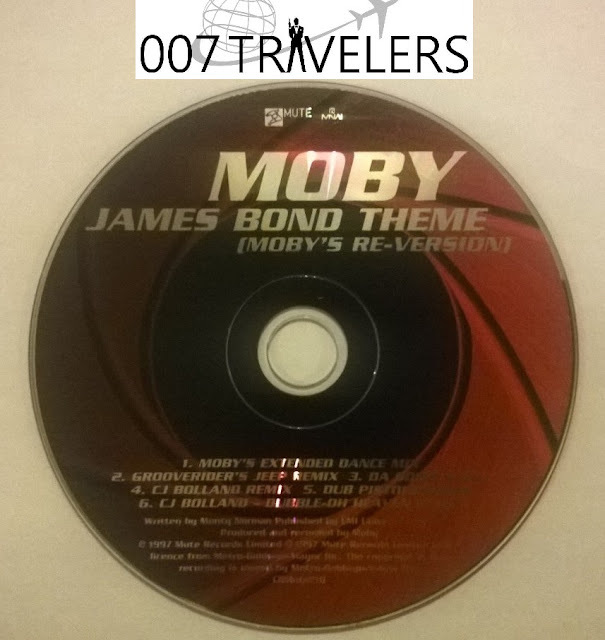 "James Bond Theme (Moby's Re-Version) Grooveride's Jeep Remix"
3. 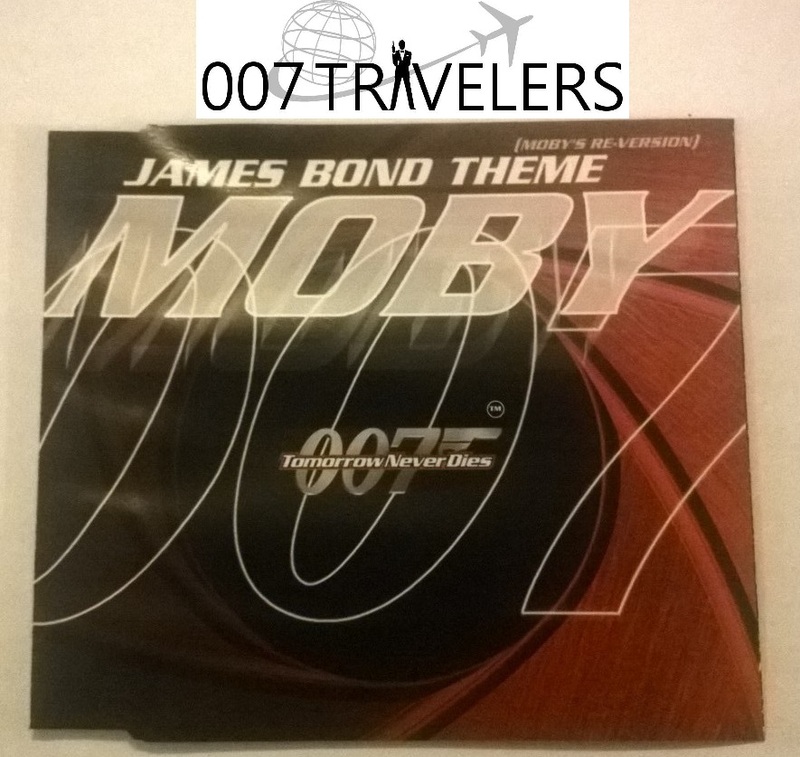 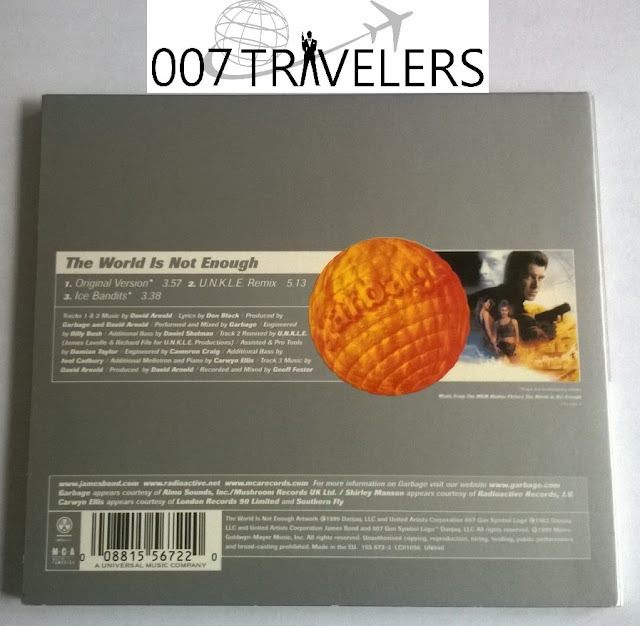 "James Bond Theme (Moby's Re-Version) Da Bomb Remix"
4. 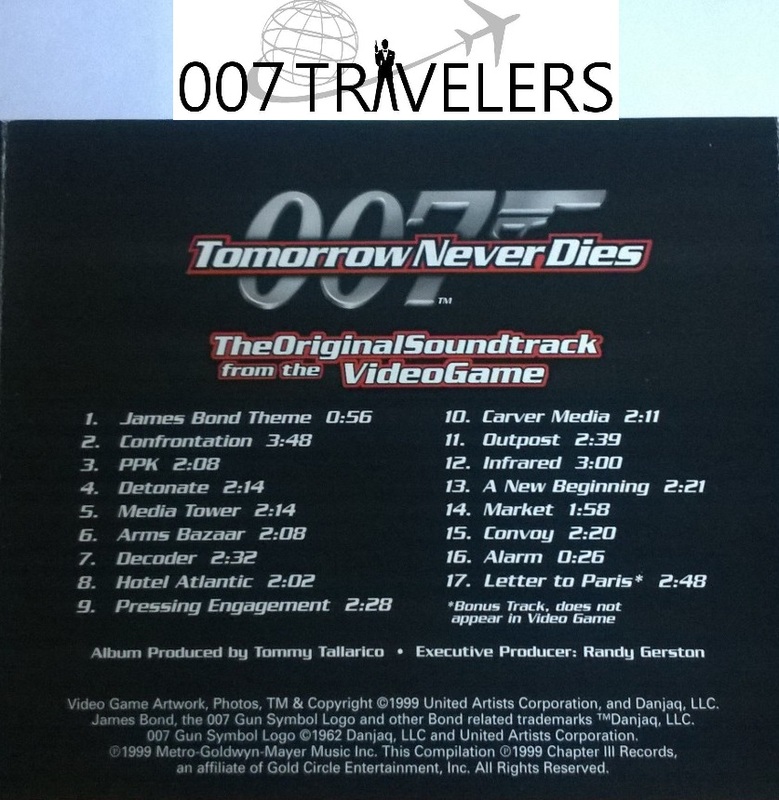 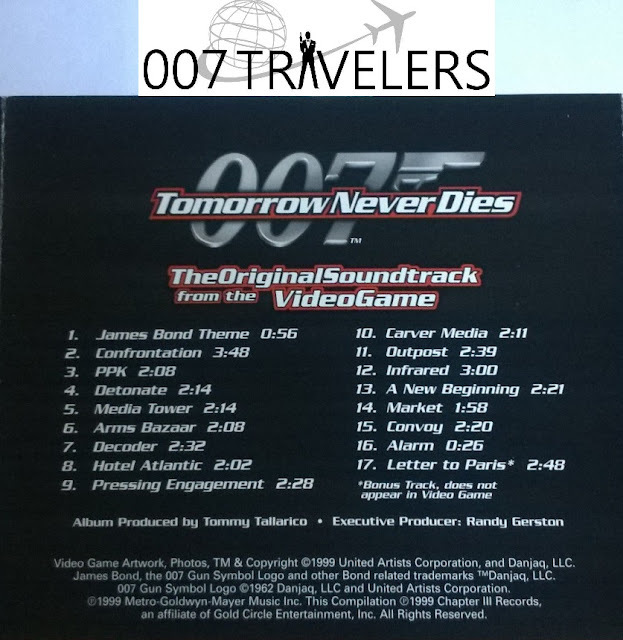 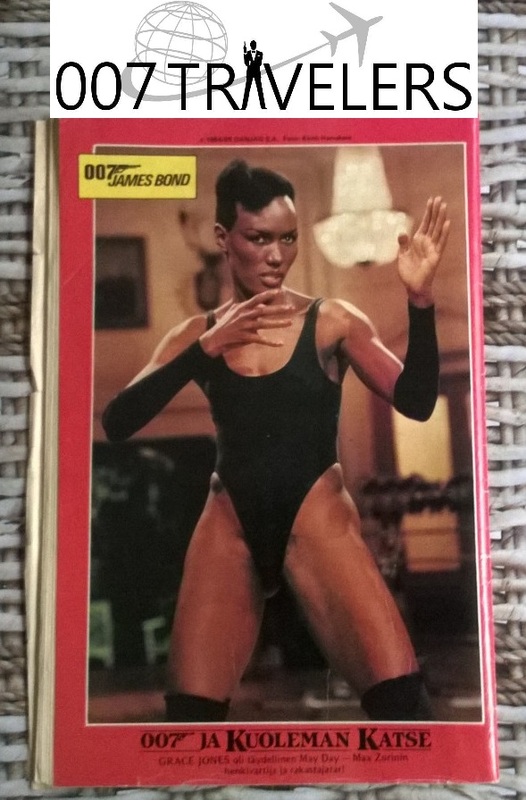 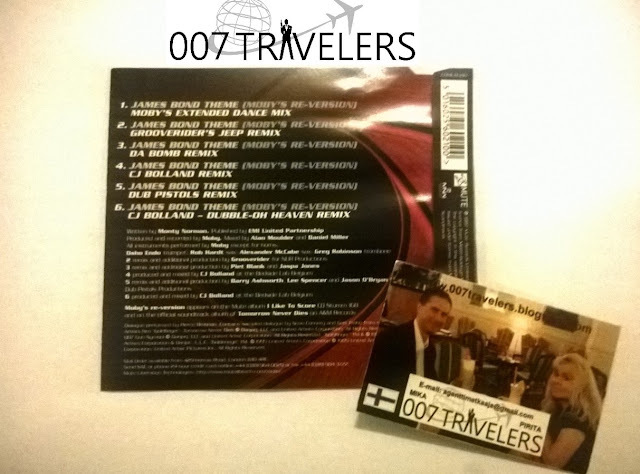 "James Bond Theme (Moby's Re-Version) CJ Bolland Remix"
5. 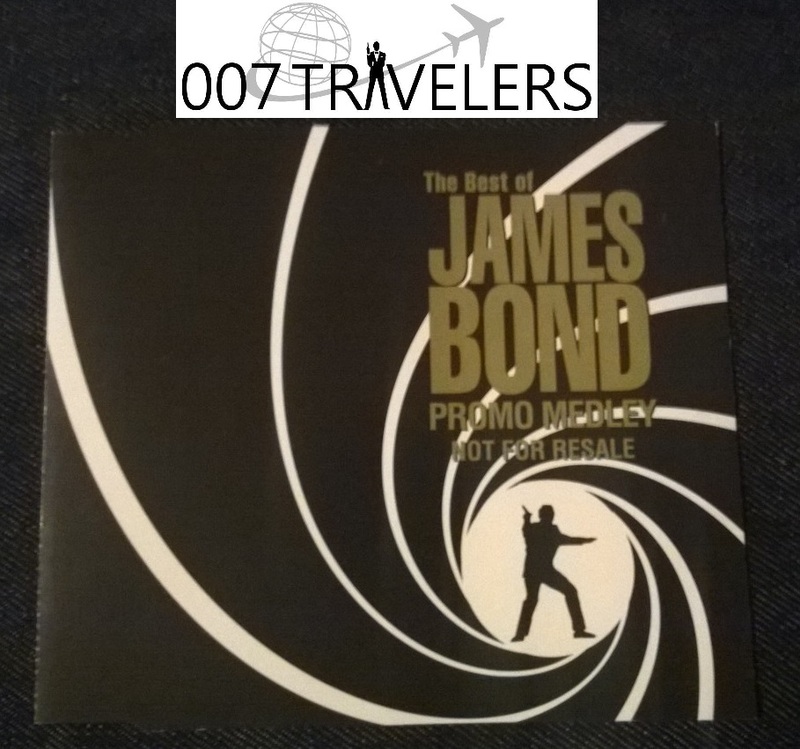 "James Bond Theme (Moby's Re-Version) Dub Pistols Remix"
6. 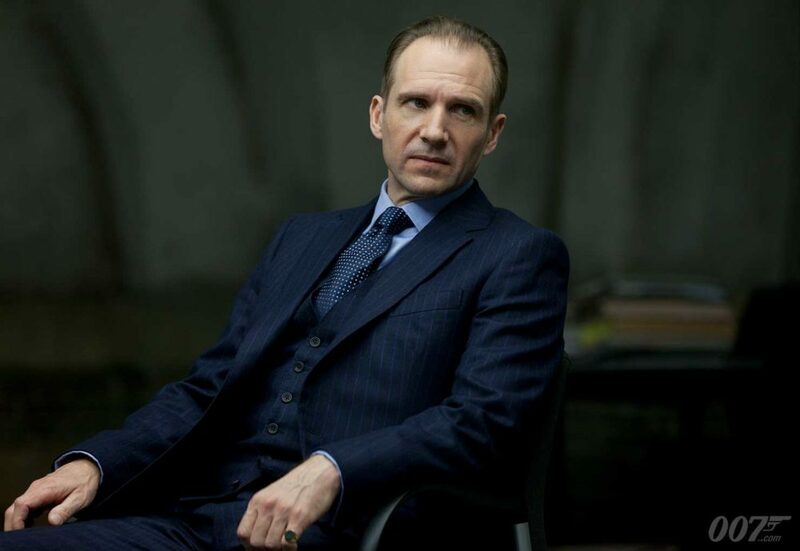 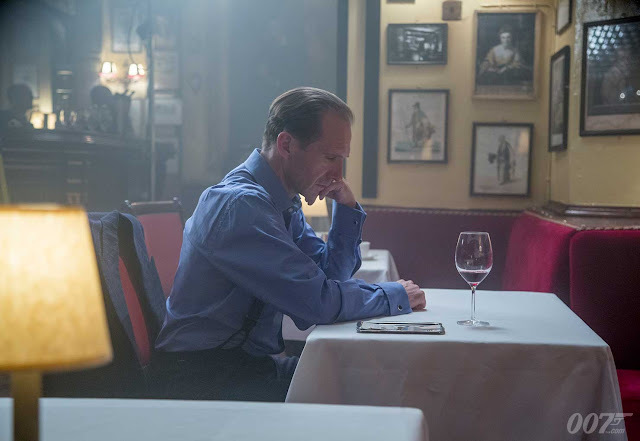 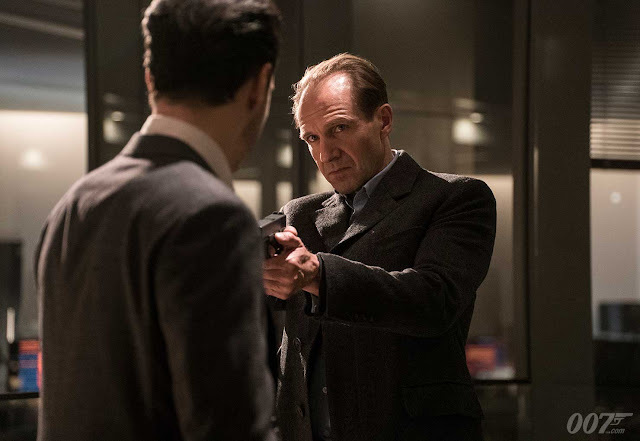 "James Bond Theme (Moby's Re-Version) CJ Bolland - Dubble - Oh Heaven Remix"
When in "Skyfall" (2012) M (Judi Dench) is tragically killed, Gareth Mallory (Ralph Fiennes) is named as her successor. 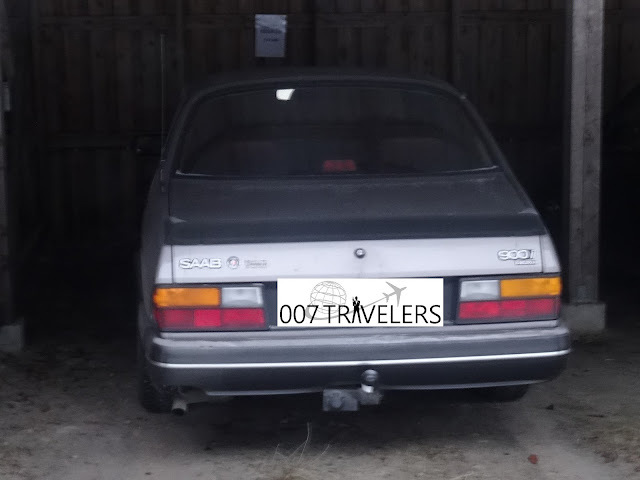 In "SPECTRE" (2015), the new M is forced to suspend Bond following his rogue mission in Mexico. 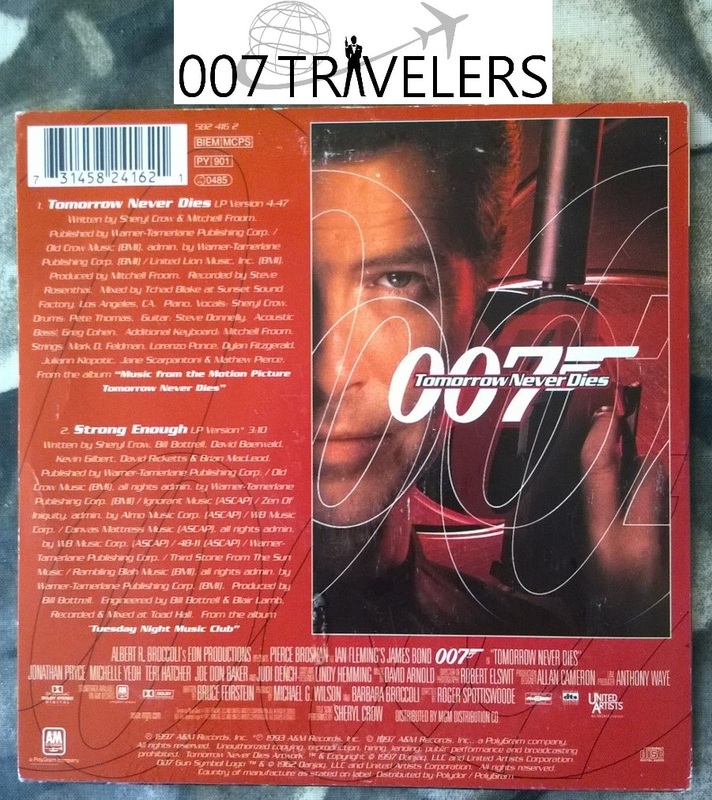 He comes under serious pressure from within the intelligence services when the Double-0 section is under threat from a new initiative called Nine Eyes, headed by C. After discovering that the terrorist organisation Spectre is behind Nine Eyes, M and Q succeed in stopping its activation but a subsequent struggle between M and C results in C falling to his death. 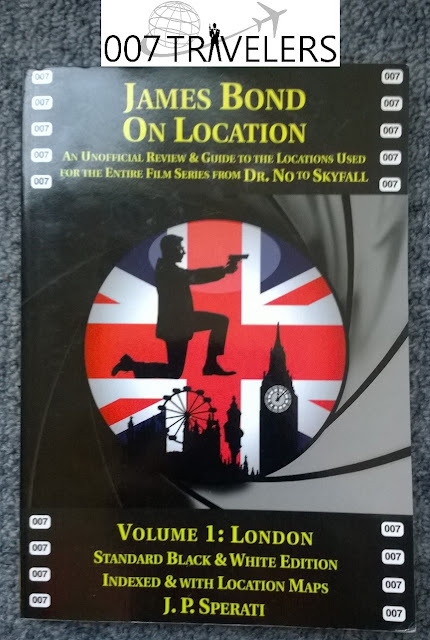 M then goes on to arrest Spectre villain Blofeld on Westminster Bridge. * Bonus Track. 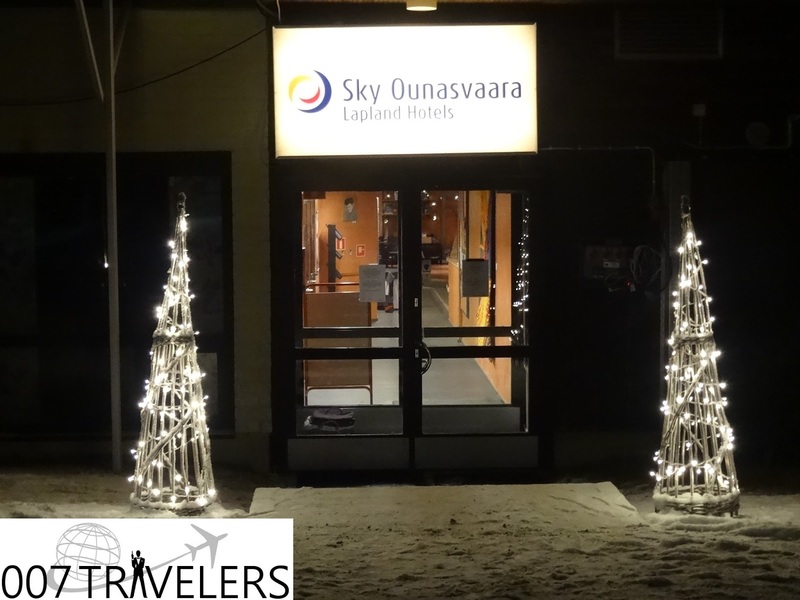 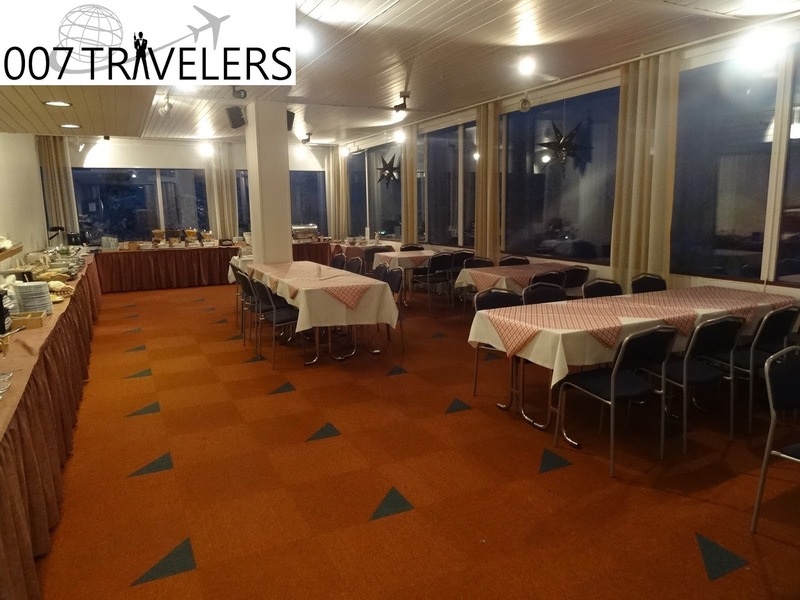 Does not appear in Video Game"
Lapland Sky Hotel Ounasvaara (named Ounasvaara Polar Hotel at the time when "Icebreaker" (1983) book was written) is located in the Ounasvaara Winter Sports Center and it is the perfect holiday destination when visiting Lapland. 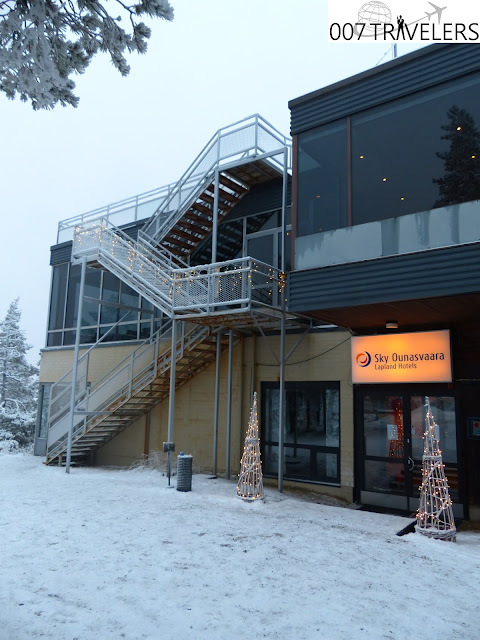 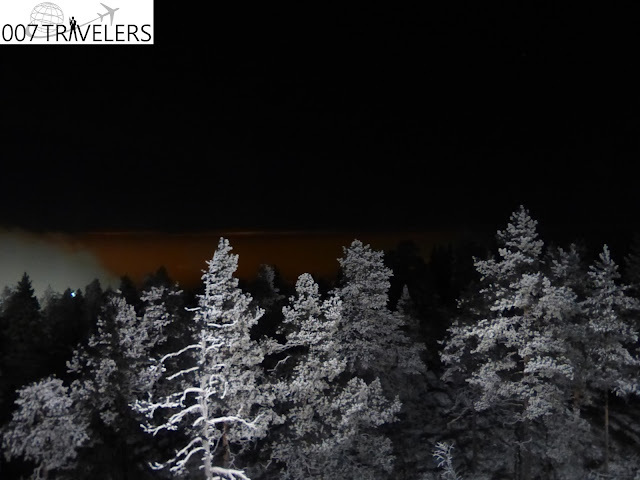 The center of Rovaniemi is only three kilometers from the hotel and you can reach the airport of Rovaniemi, official airport of Santa Claus, in 15 minutes. 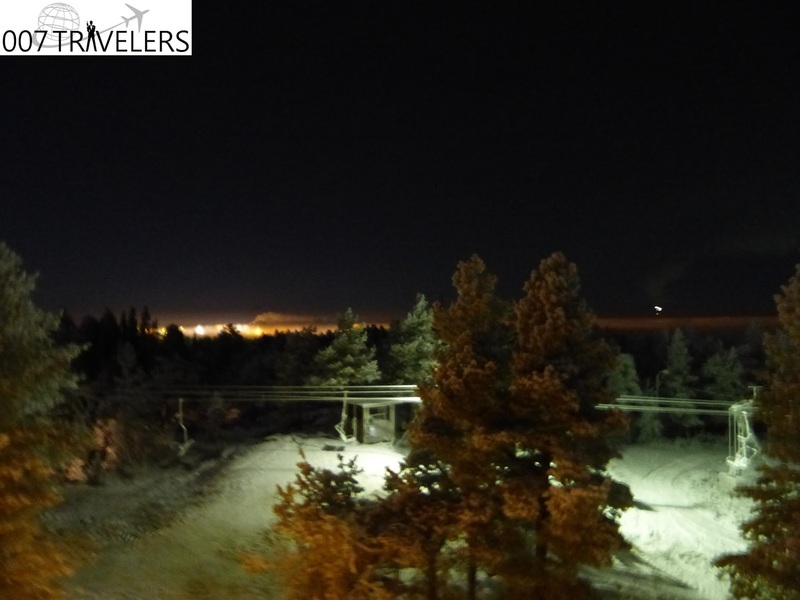 Rovaniemi is the official hometown of Santa Claus! 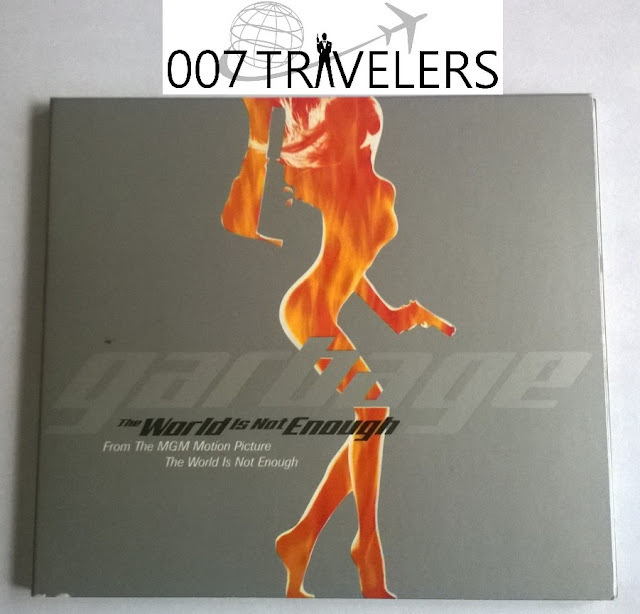 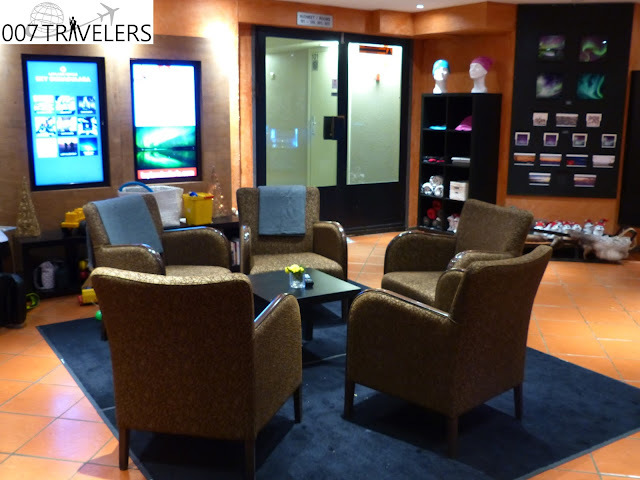 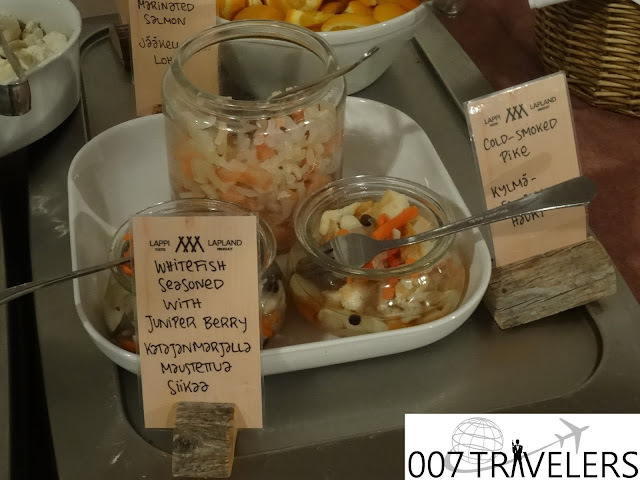 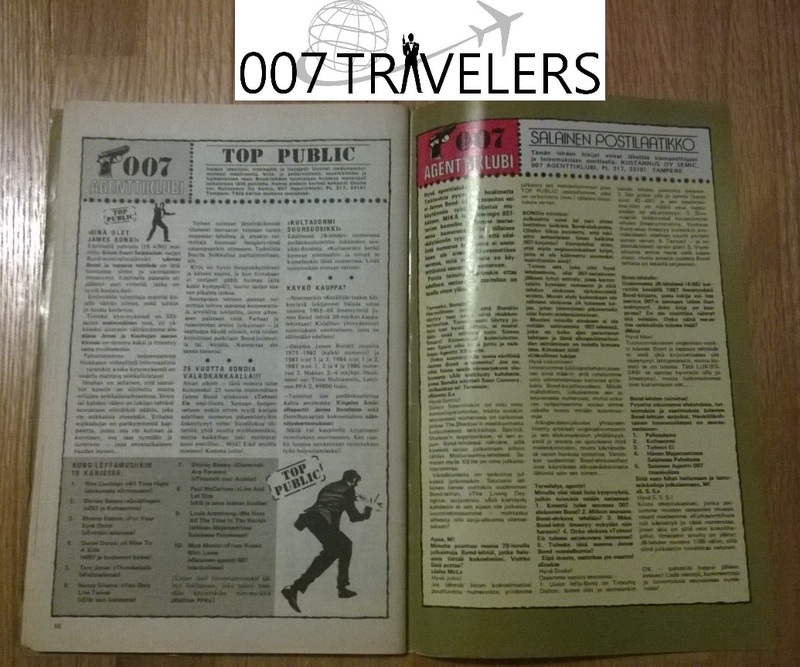 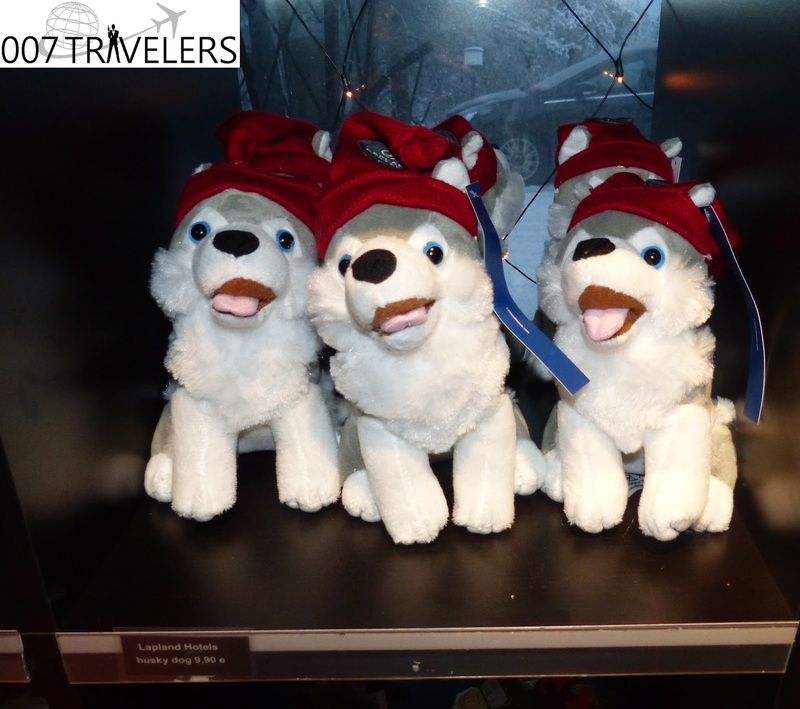 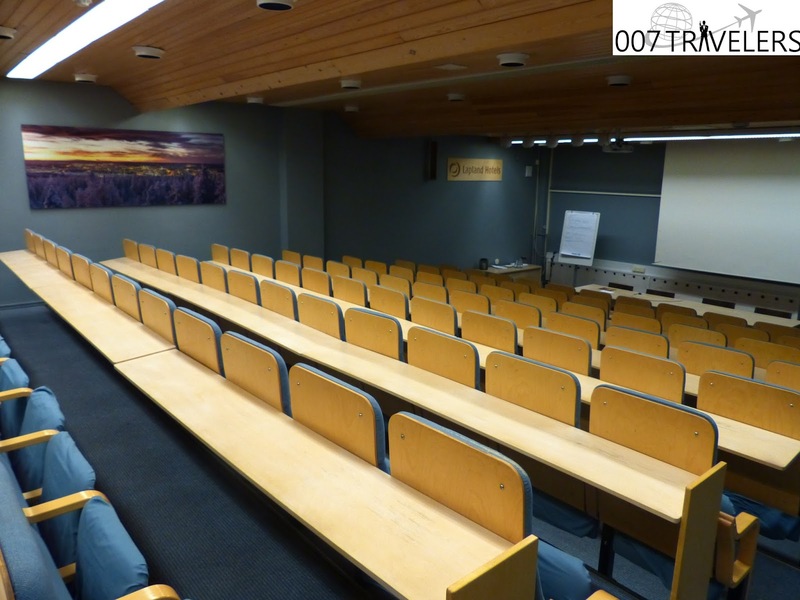 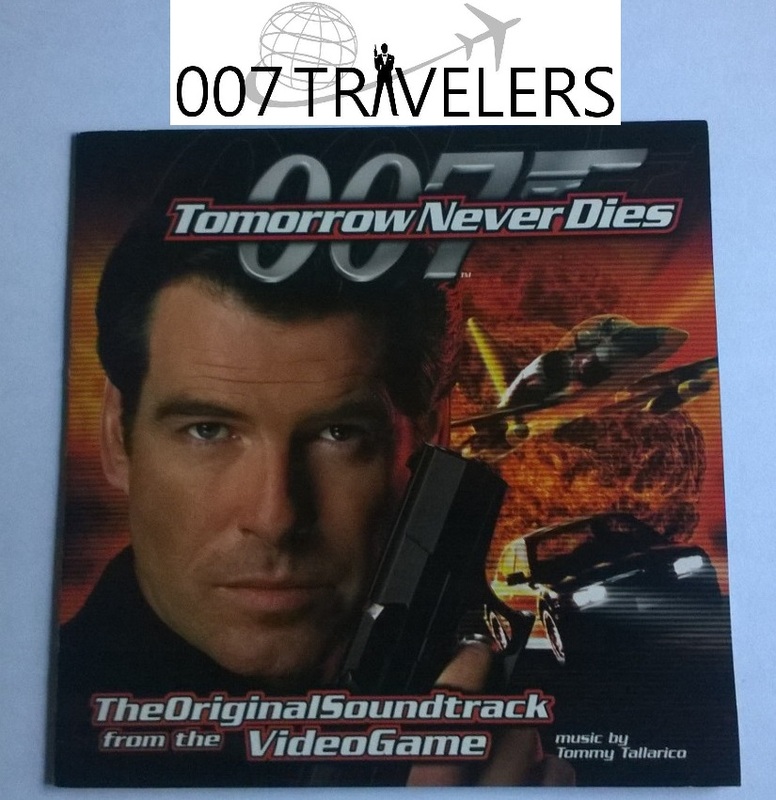 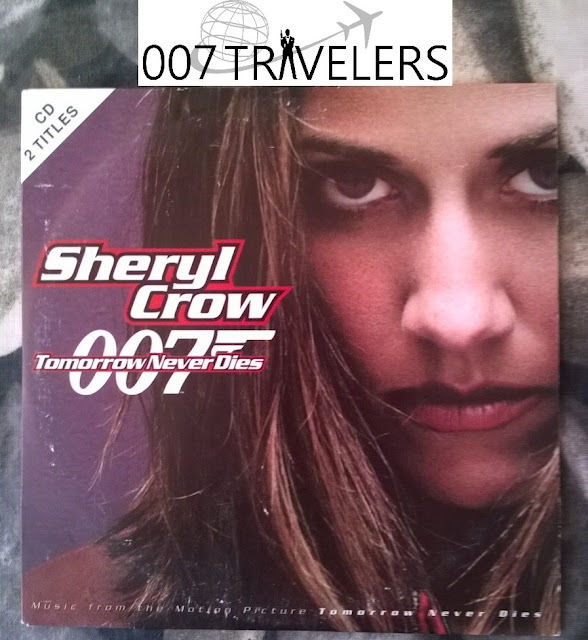 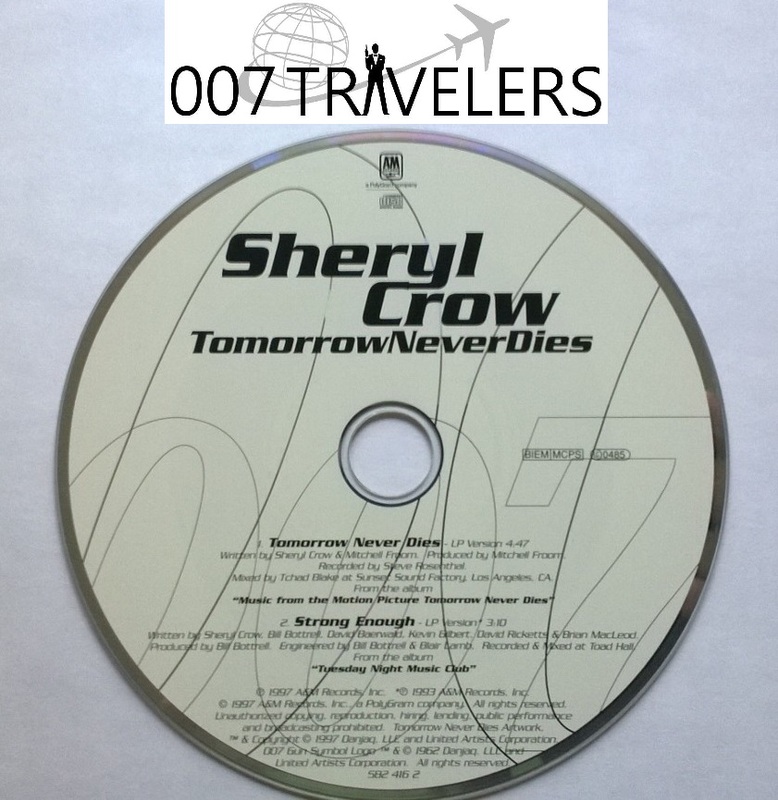 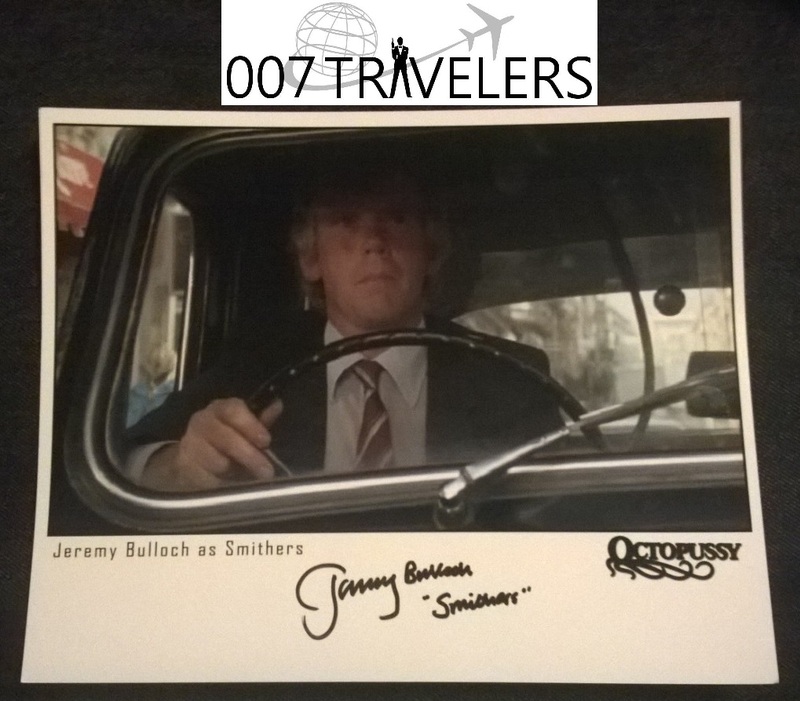 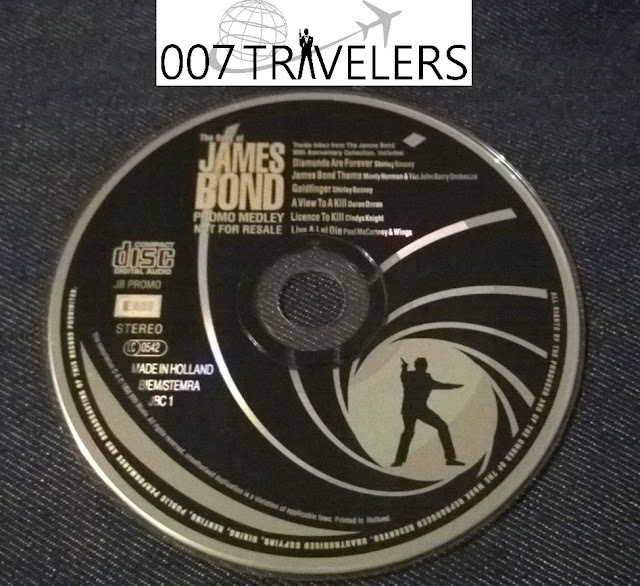 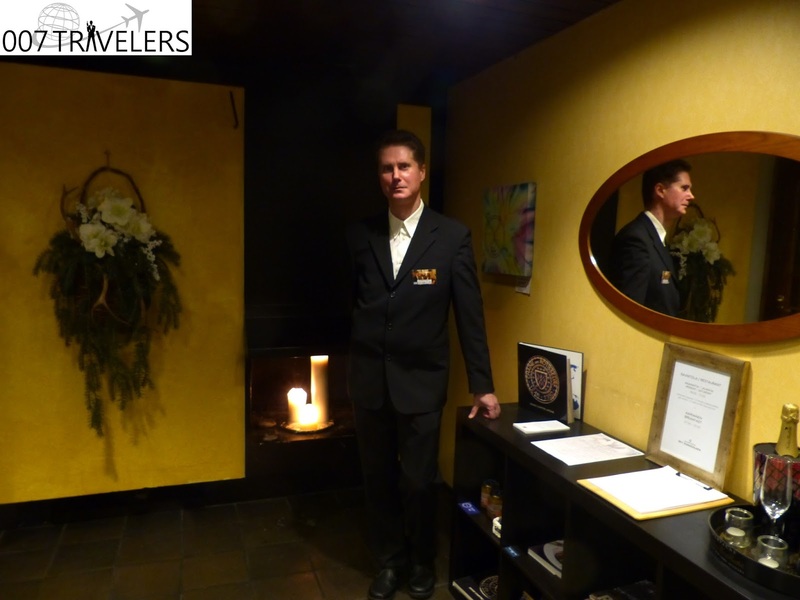 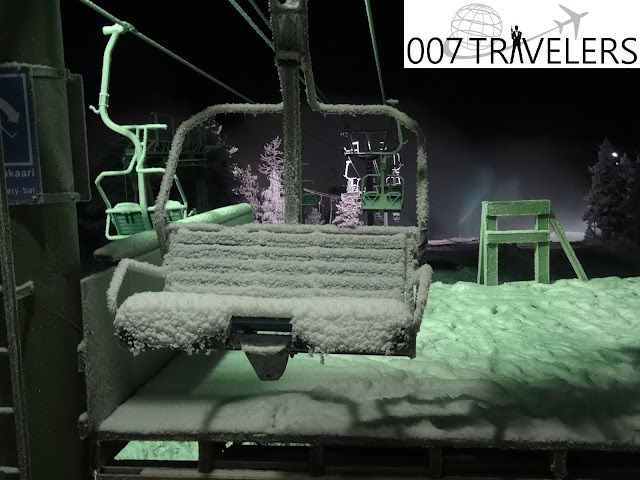 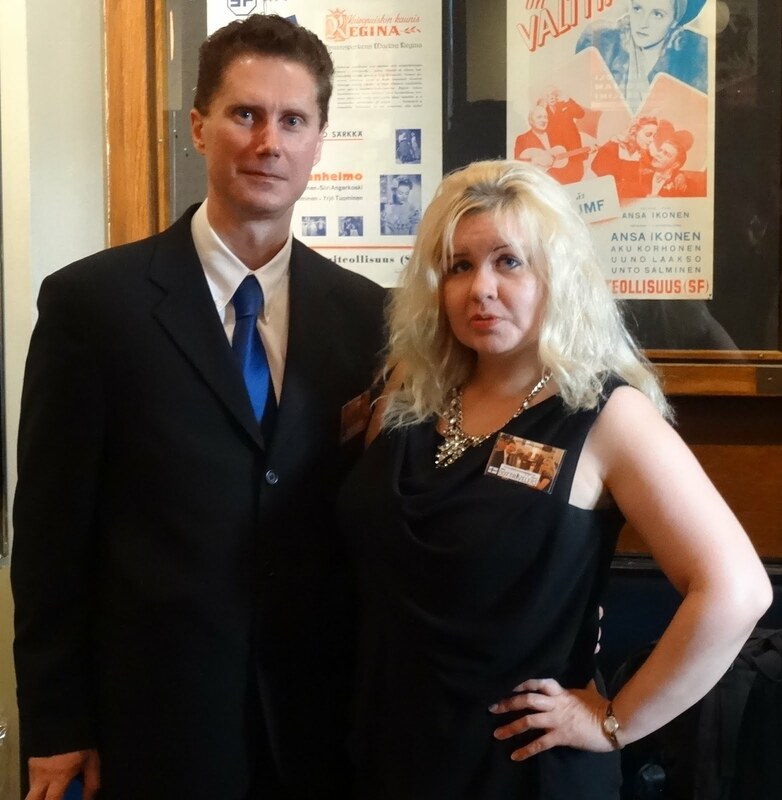 007 Travelers felt warmly welcomed by hotel´s wonderful Jenni. 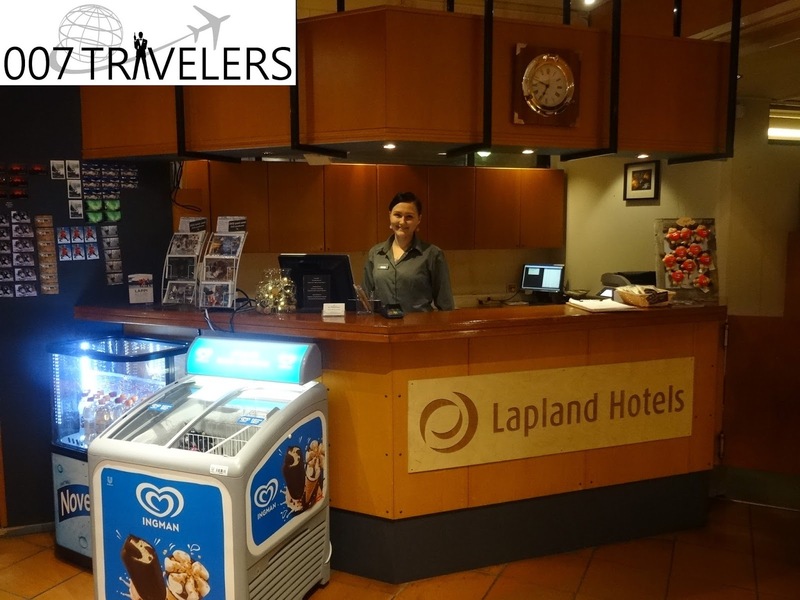 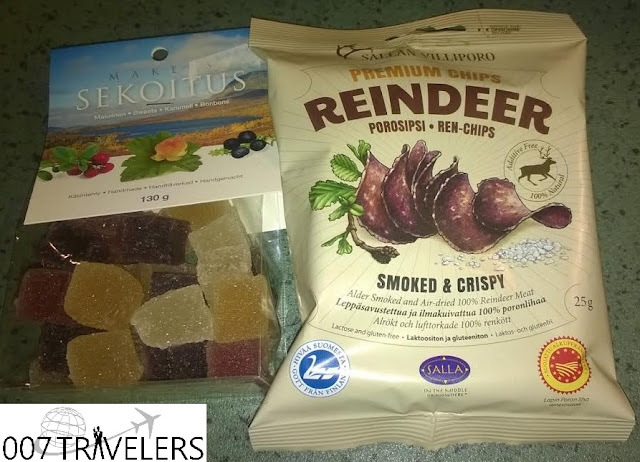 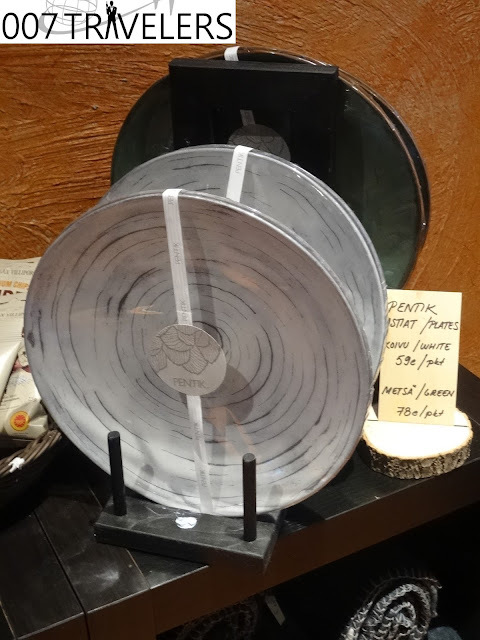 She told us about the hotel and Rovaniemi, and she was very helpful during our whole staying. 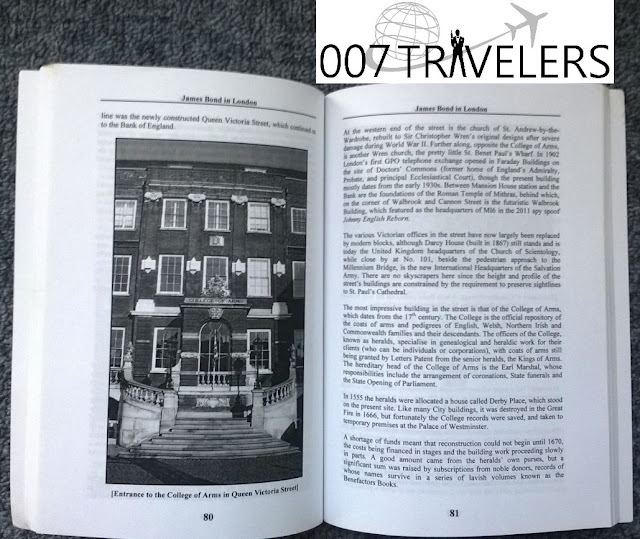 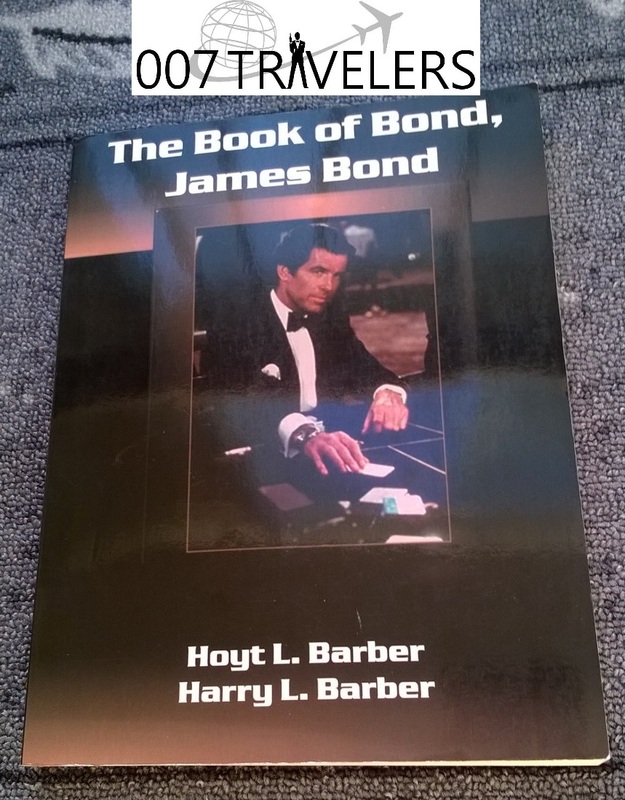 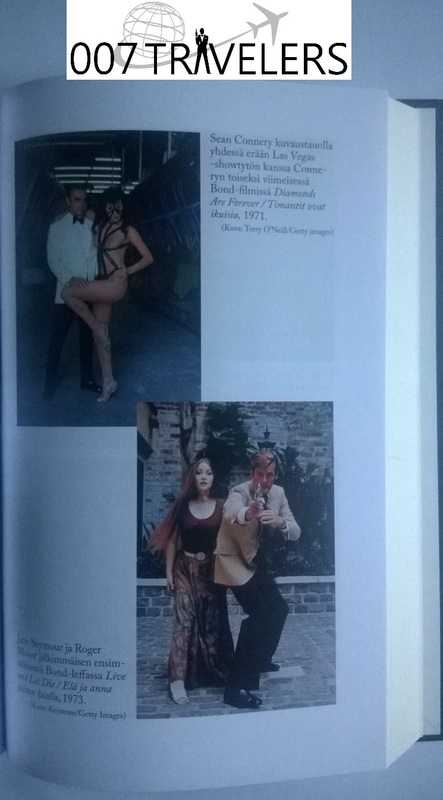 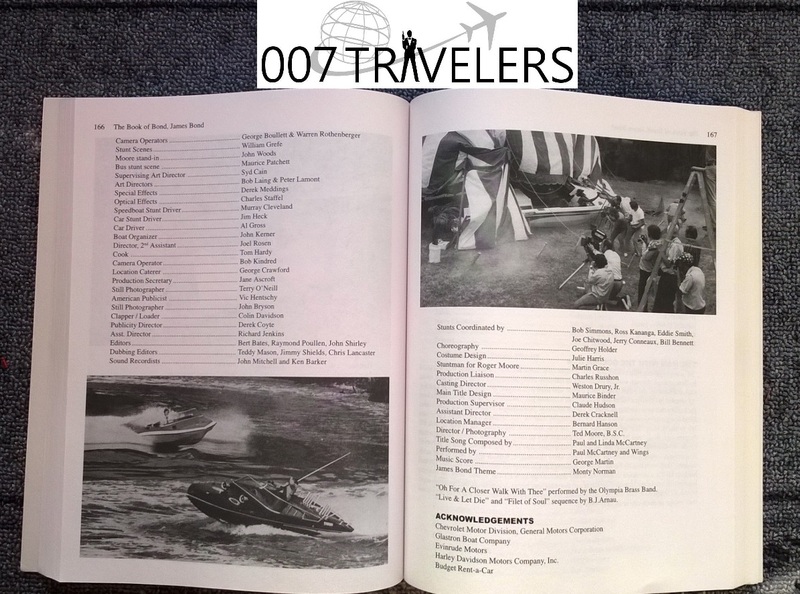 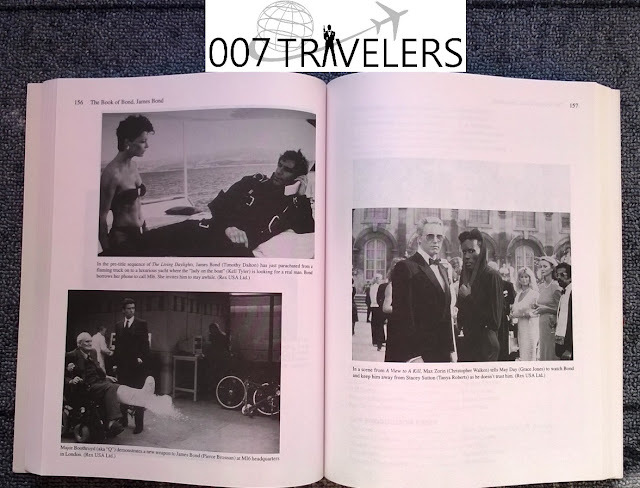 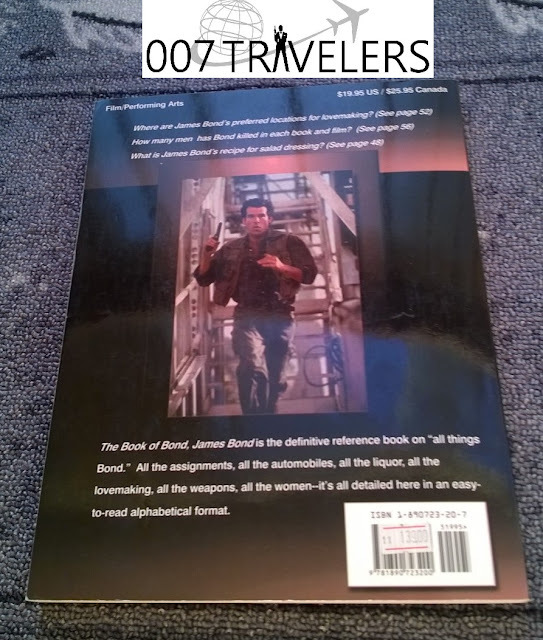 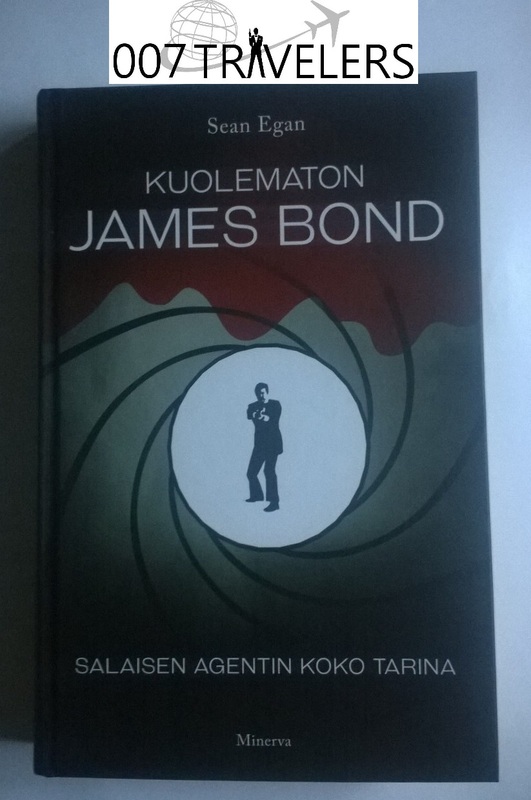 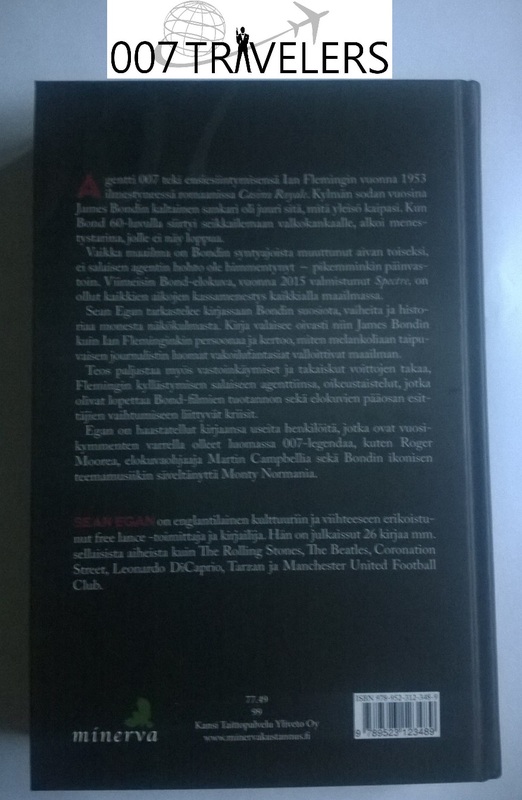 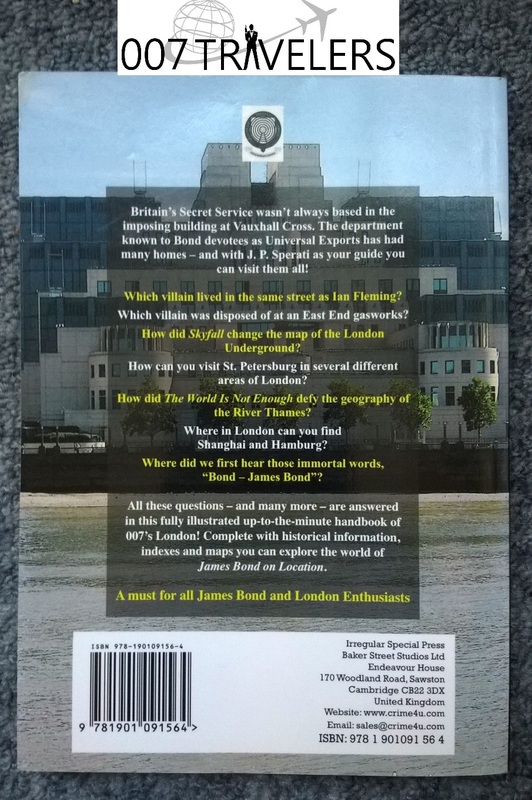 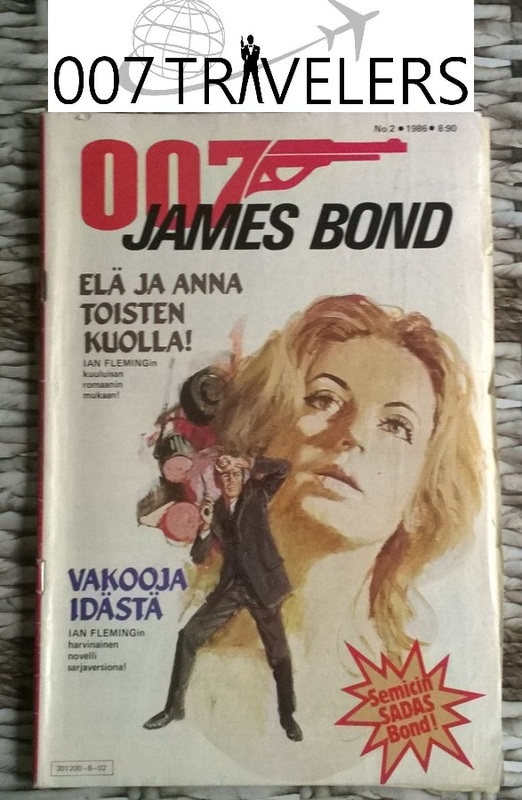 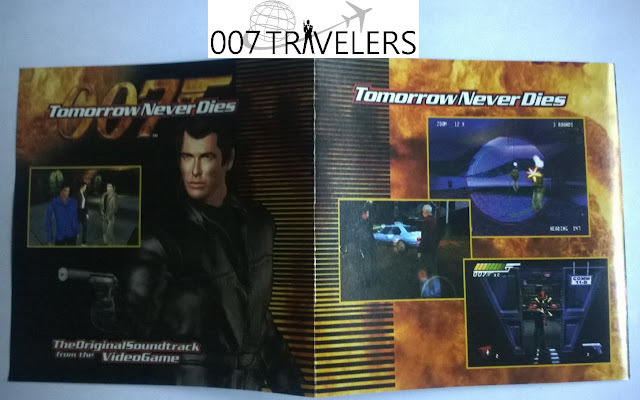 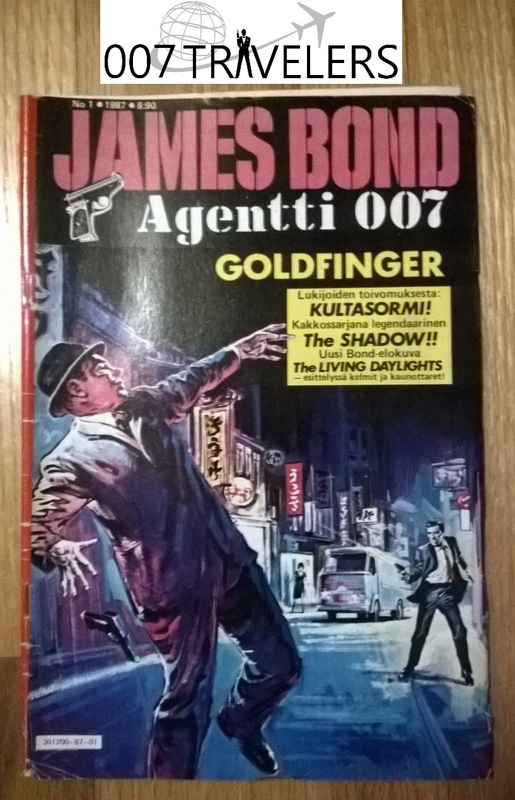 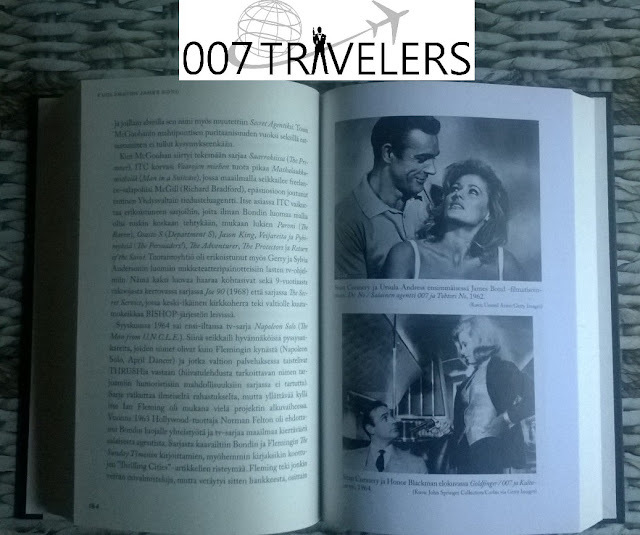 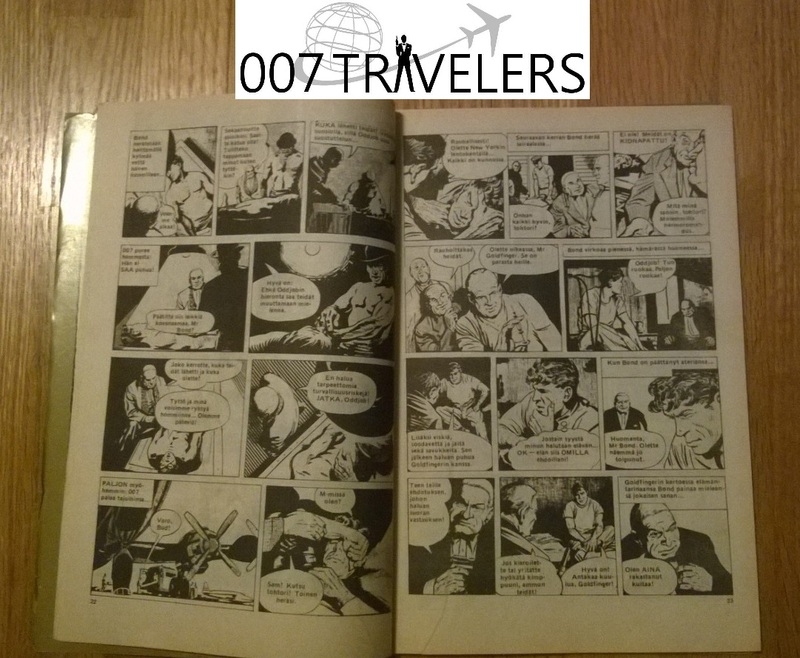 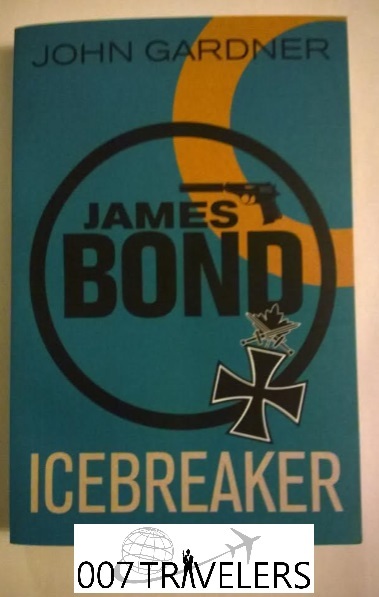 We gave the hotel "Icebreaker" Bond book where the hotel is mentioned. 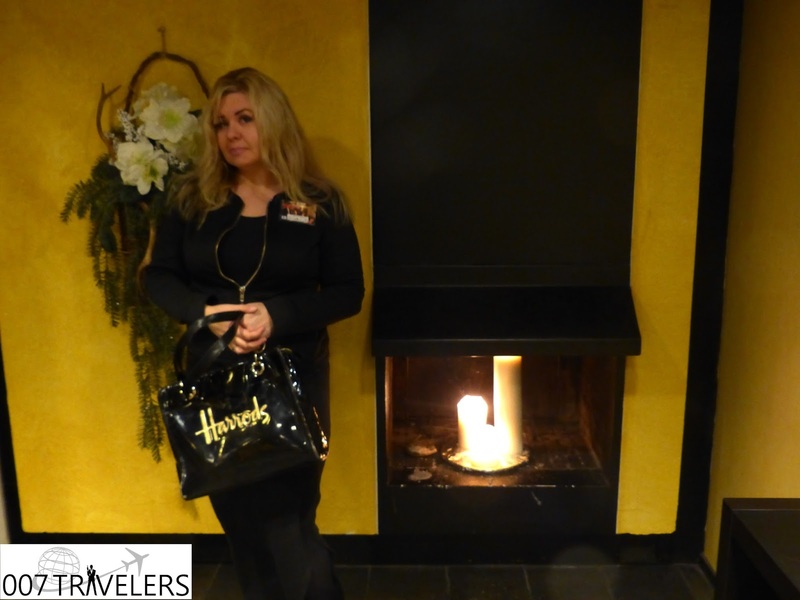 Jenni gave us our room key and we were happy with our room. 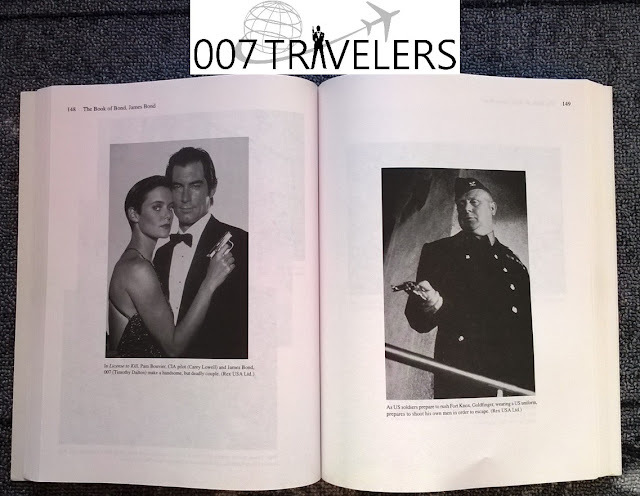 There are 71 rooms in the hotel on two floors. 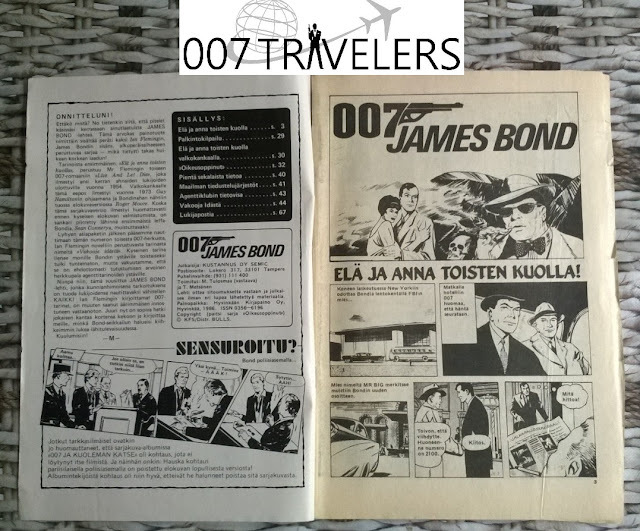 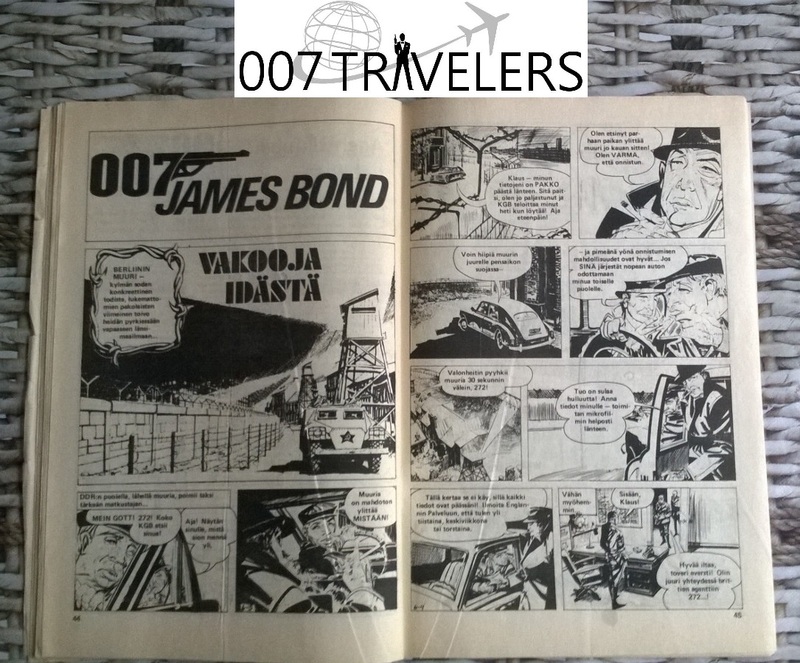 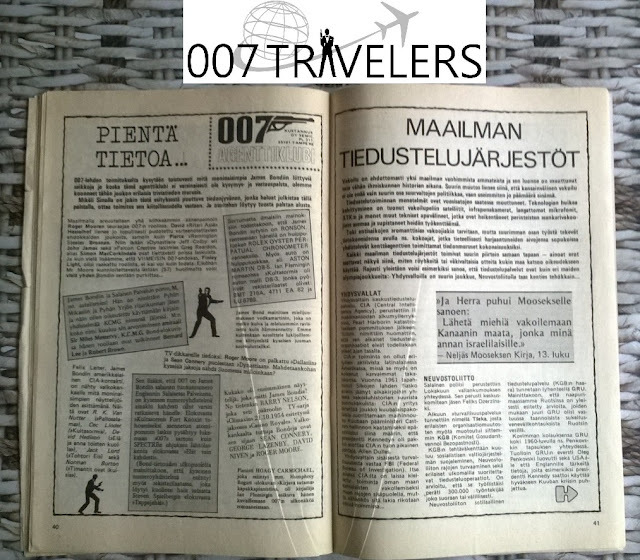 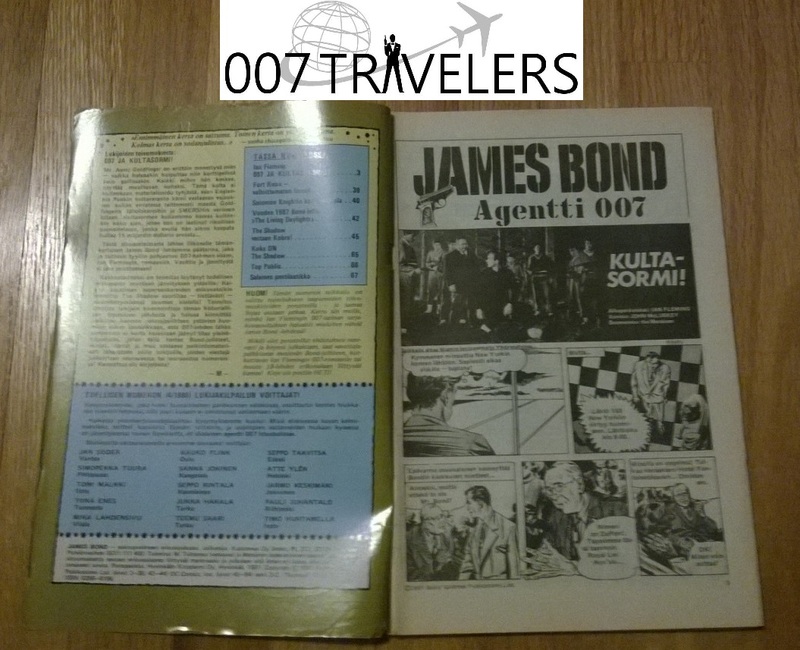 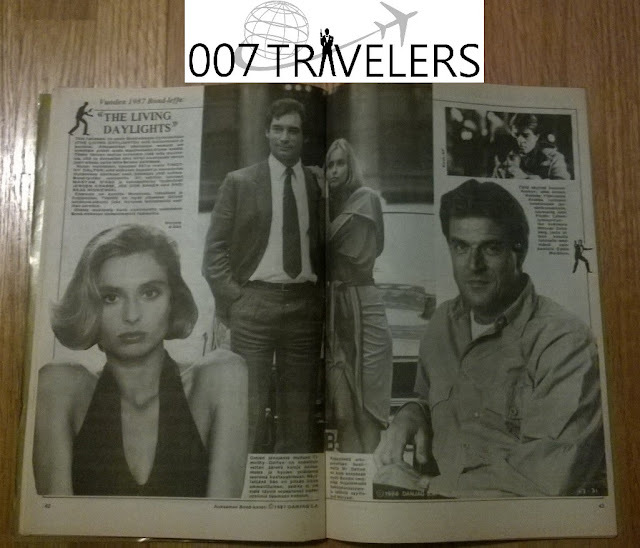 007 Travelers got a room on second floor, which was a superior room for three persons including own sauna. 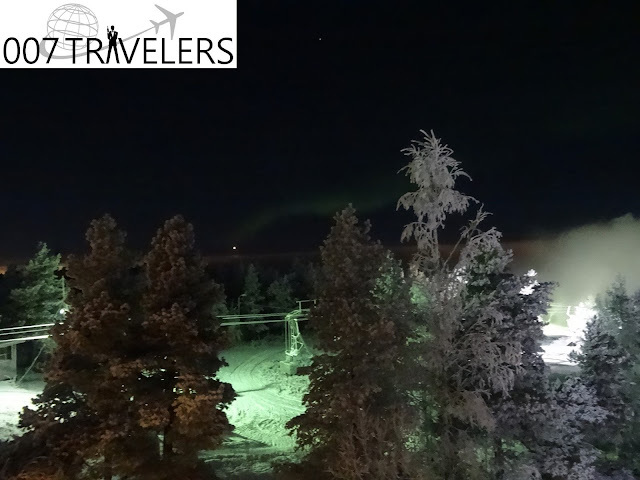 There was nice winter view from our room´s window and if you are lucky enough, it is possible to see northern lights from your window. 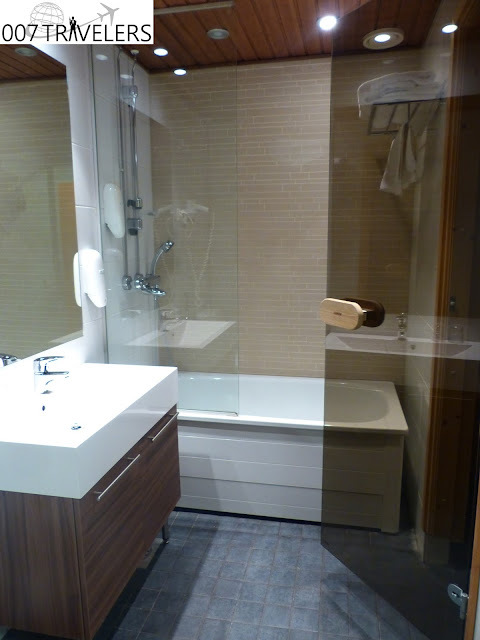 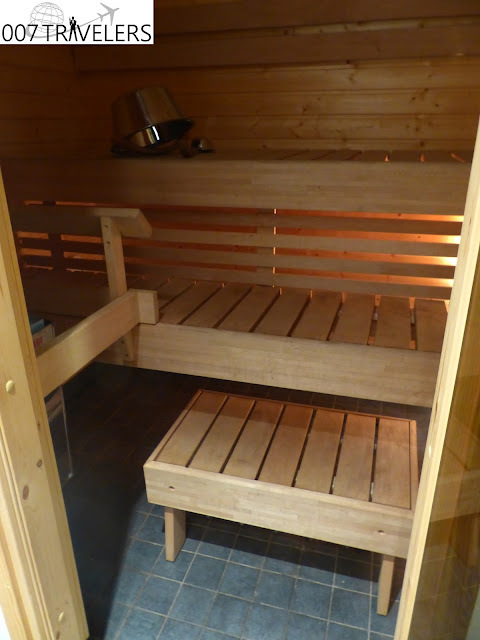 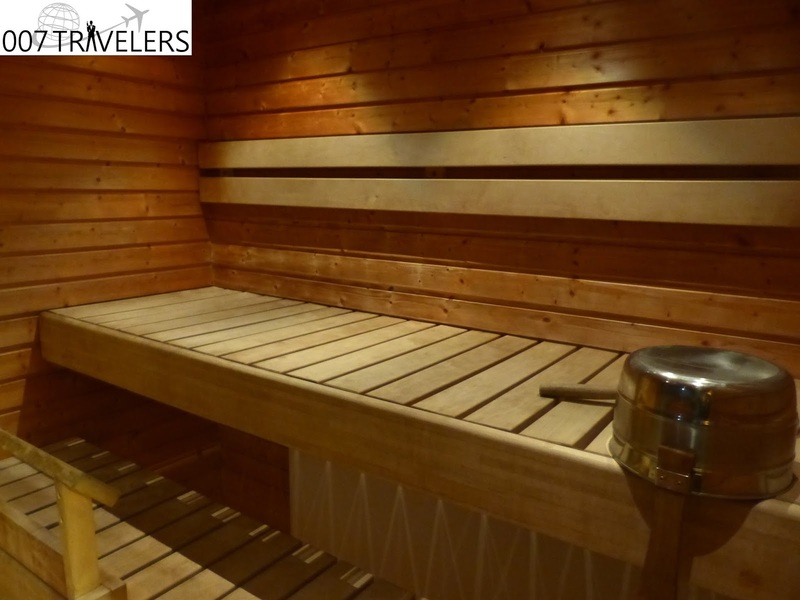 If you don't have own sauna in your room, it is possible to use hotel´s public sauna, which can be found on the second floor. 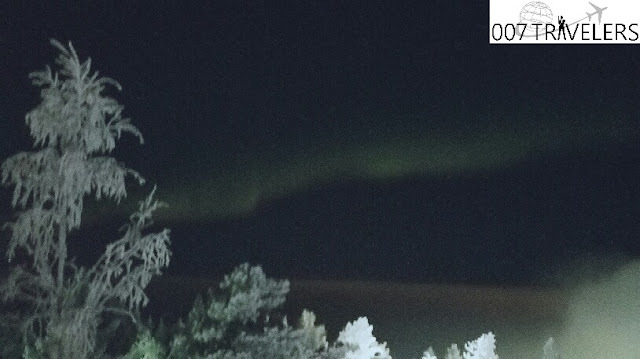 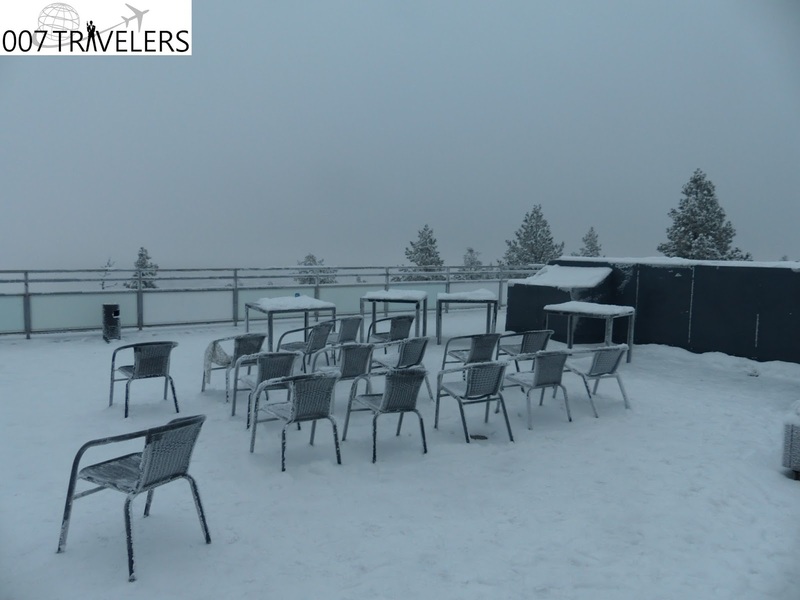 You can watch beautiful northern lights from SKY terrace which is located on the roof of the hotel and feel the magic of the sky. The terrace is open 24 hours a day. 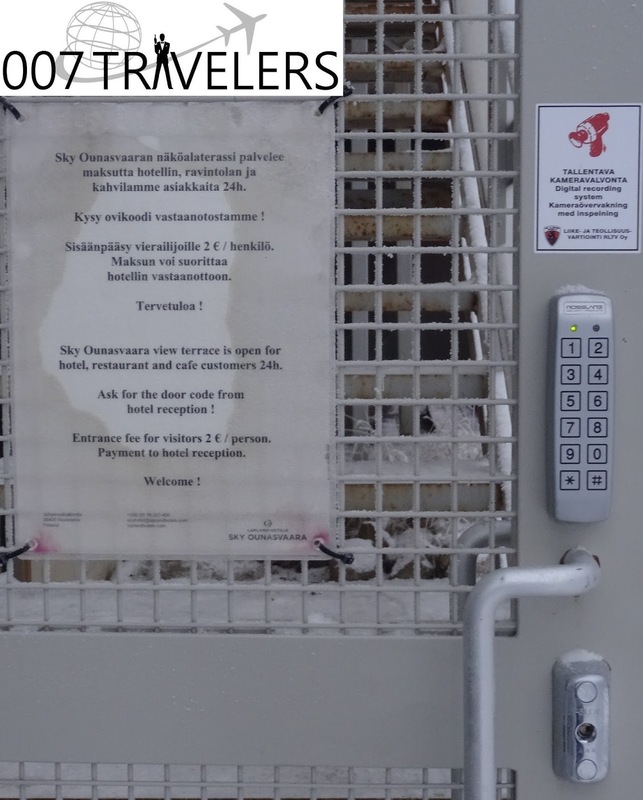 You have to give the special code to be able to go the terrace. 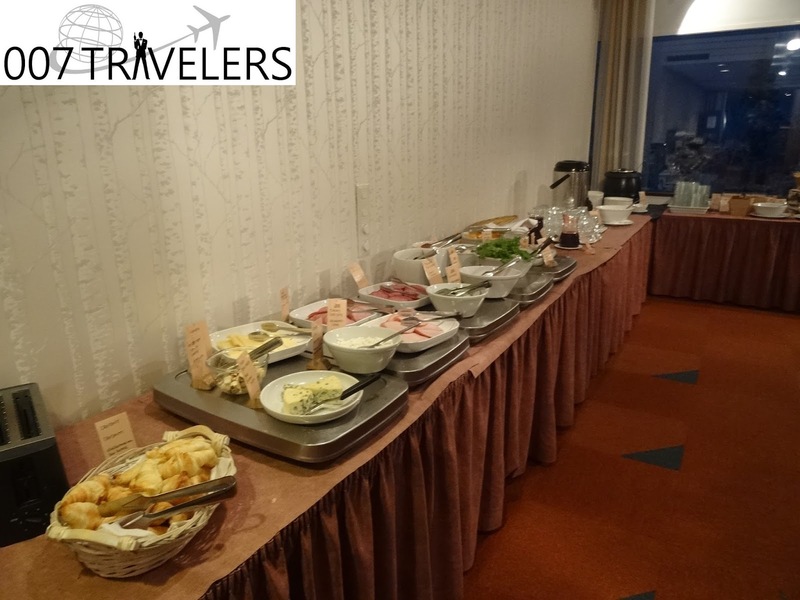 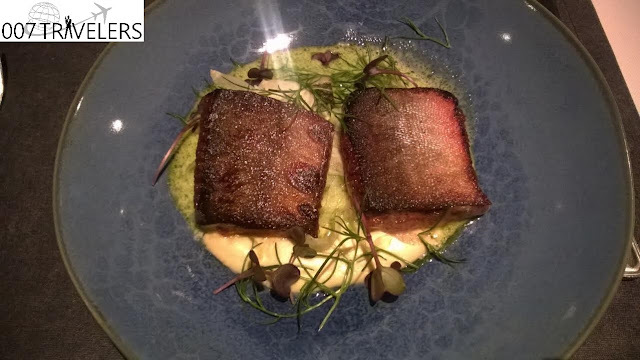 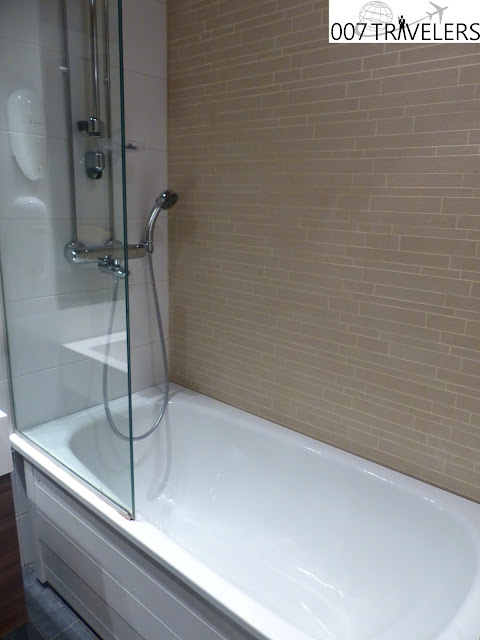 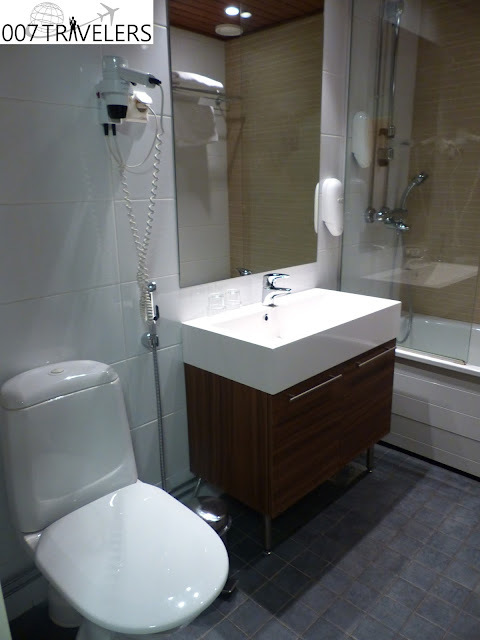 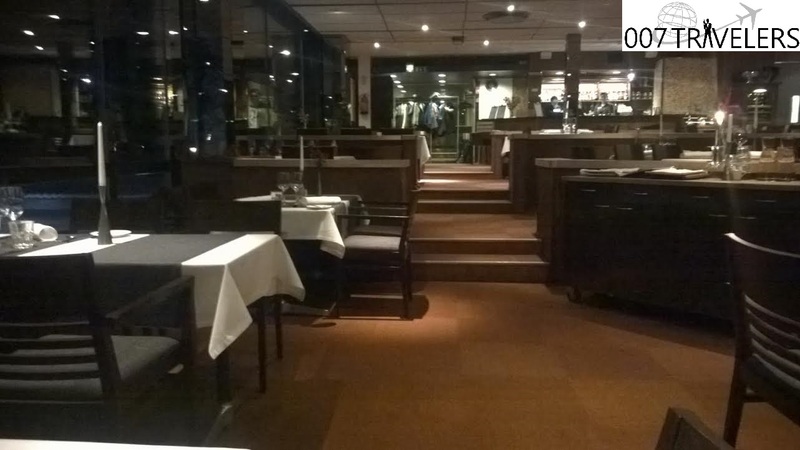 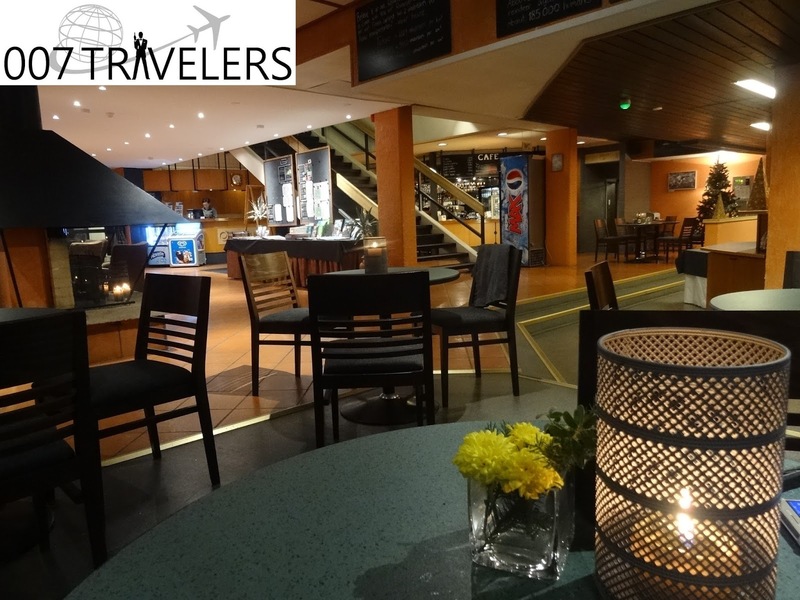 It is free of charge for people staying in the hotel or visitors of restaurant or cafe. 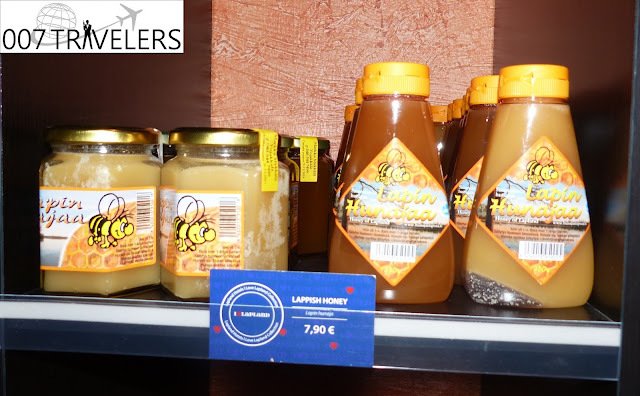 For others cost is two euros. 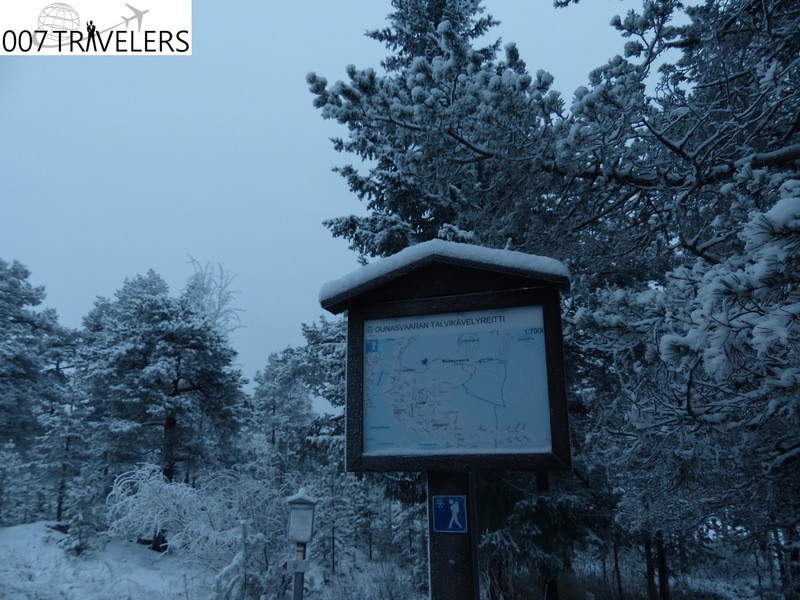 During winter time you can ski down the hill and on summer time do the same with mountain bikes or just by walking or running the hill up and down. Lappish nature is awesome no matter what is the time of the year! 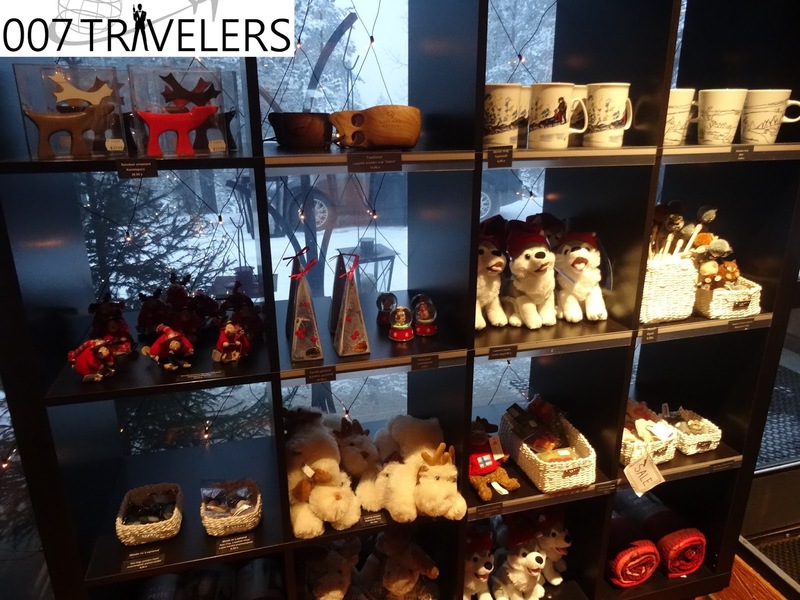 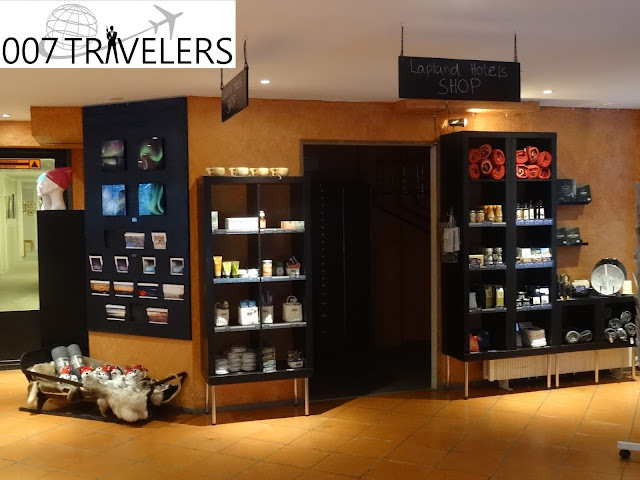 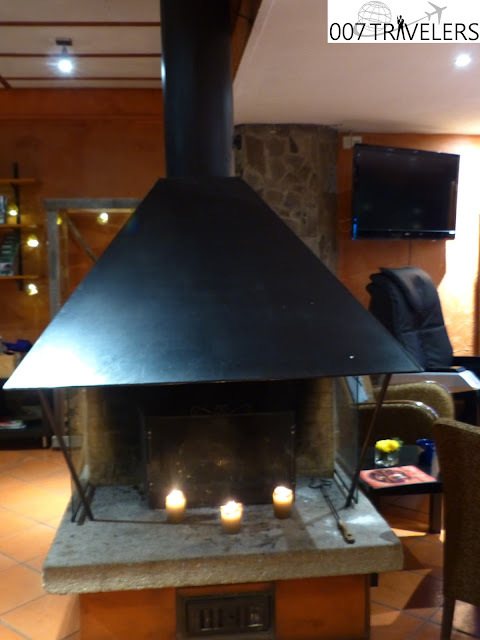 There is a nice lobby bar where you can feel the heat of fireplace and you can buy different kind of nice souvenirs from the shop. 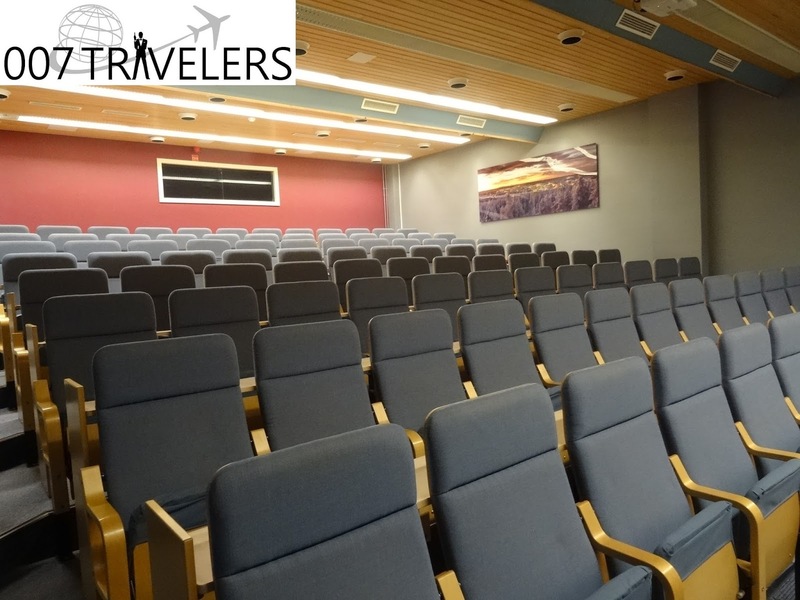 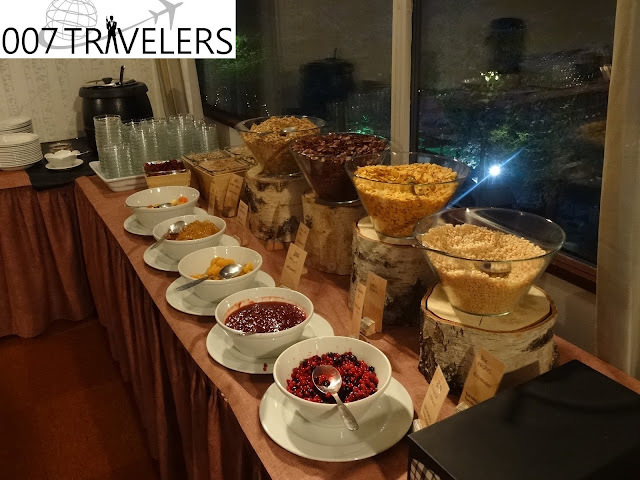 Hotel offers excellent settings for having conferences even for larger groups. 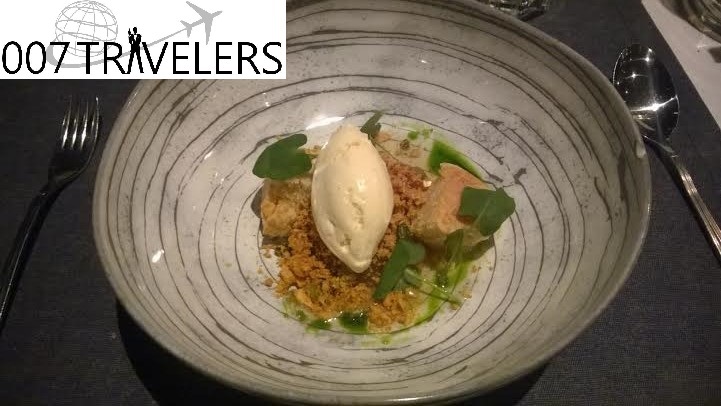 007 Travelers had dinner in this wonderful fine dining restaurant Sky Ounasvaara, where the food is really tasty and excellent! 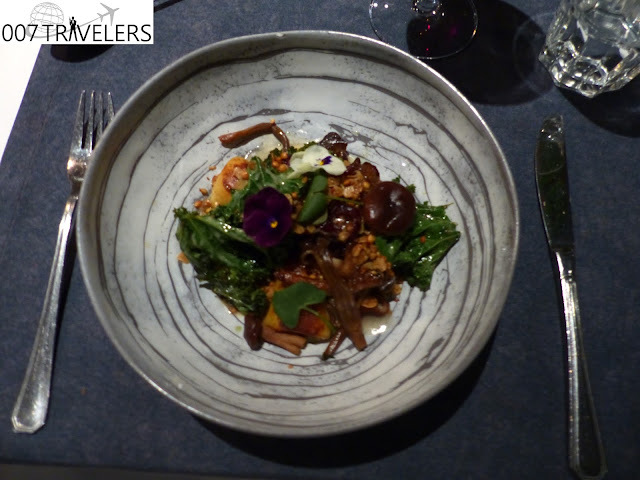 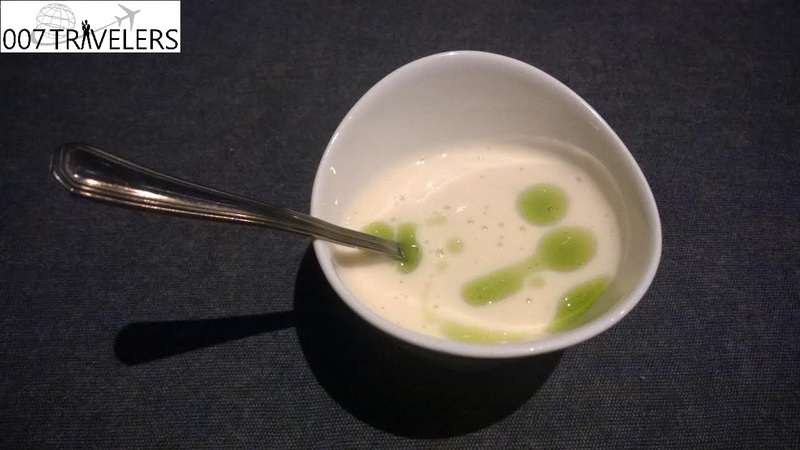 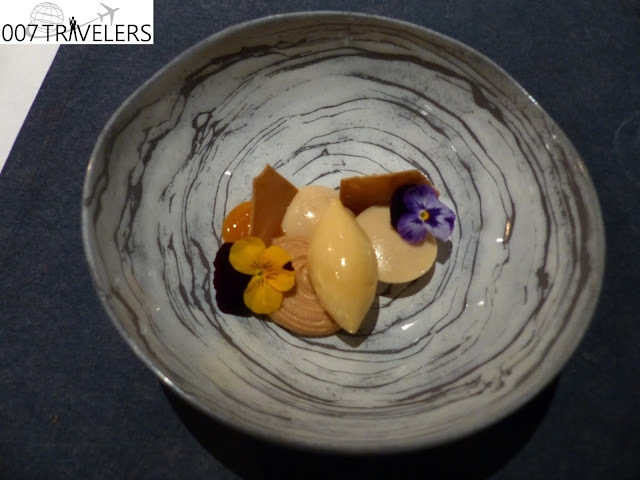 First we had Jerusalem Artichoke Soup with Apple and Roasted Peanuts, which the kitchen sent to welcome us there. 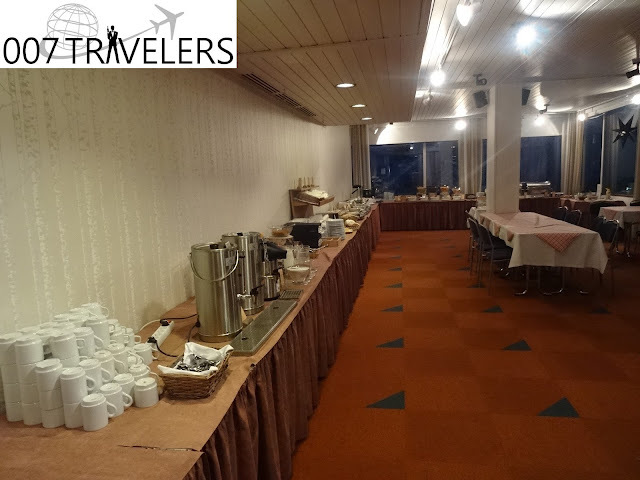 Breakfast is served on the second floor and it was really lovely including some Lappish delicacies as well. 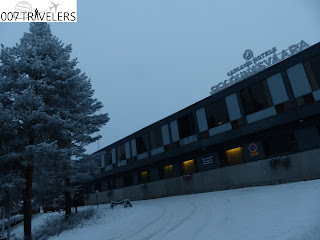 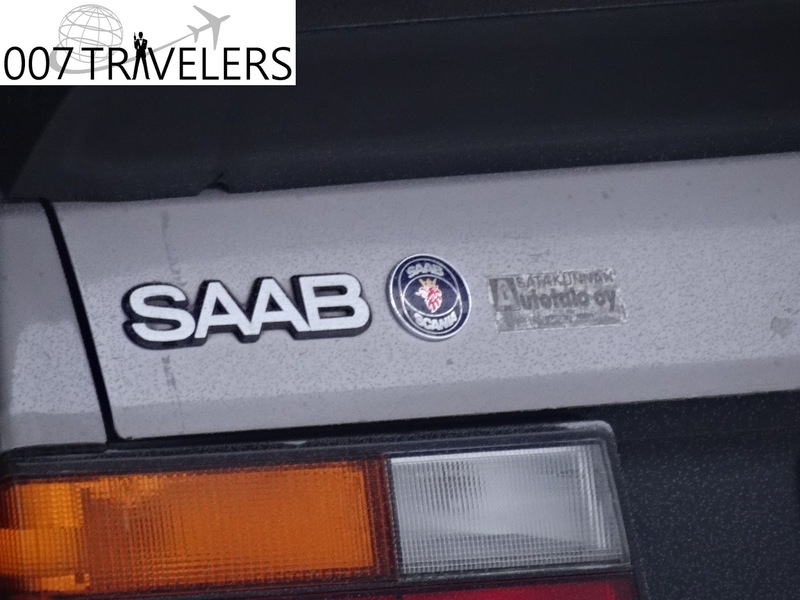 "Arriving back in the early hours, he slipped into the Ounasvaara Polar Hotel - where Saab had their Winter Driving Headquarters - left a message for Erik Carlsson saying he would send full instructions regarding the movement of Silver Beast, then hitched a lift to the airport and boarded the next flight to Helsinki. 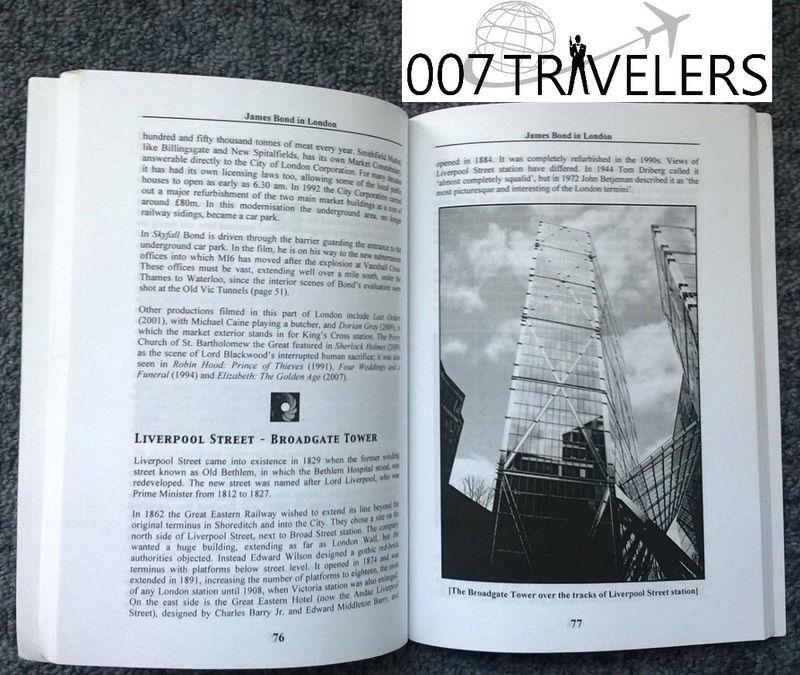 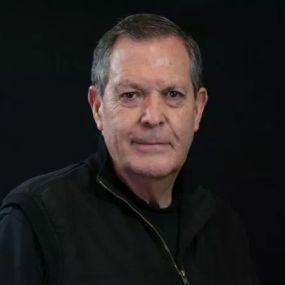 At that point his plan was to catch a connection straight on to London." 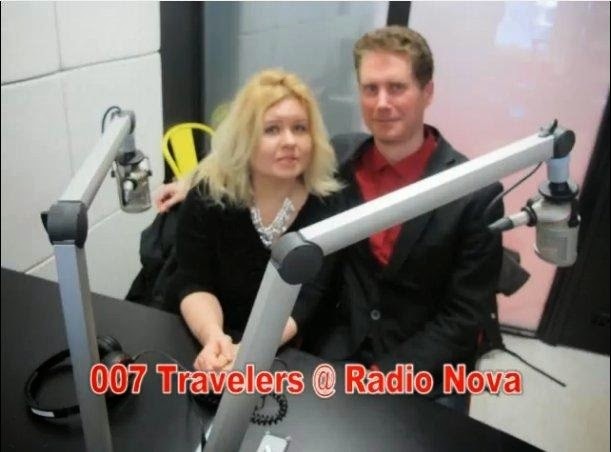 007 Travelers highly recommend this hotel for everyone!